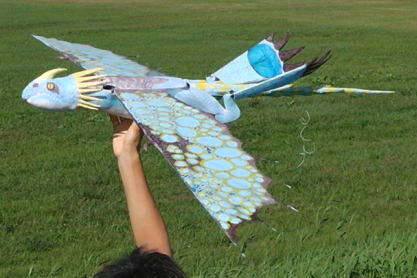 Since childhood, I had adoration toward flying in the sky. 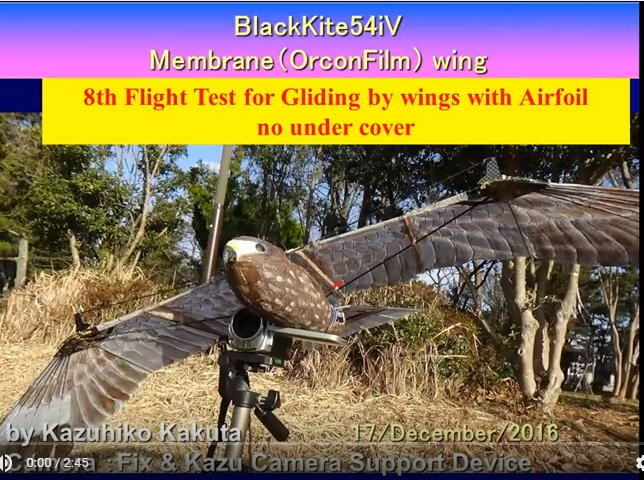 I like birds and do not get tired of looking at a flying figure of a black kite. 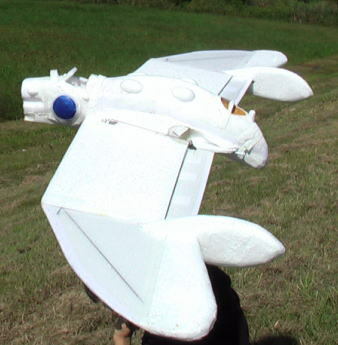 In elementary school days, I was deep in a paper airplane. 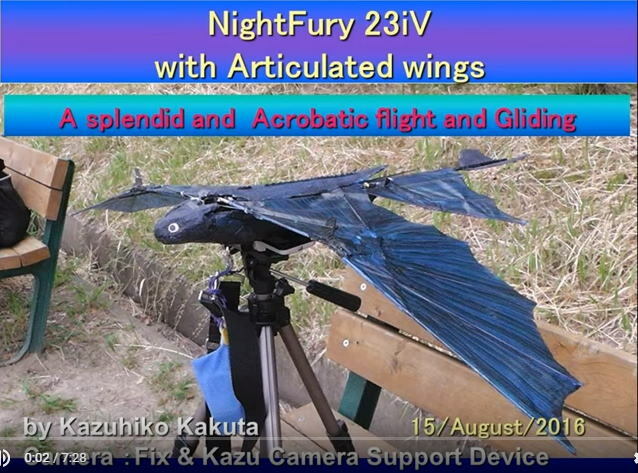 At the time of junior high student, I flew a radio control airplane for the first time, but the airplane crashed by the first flight. 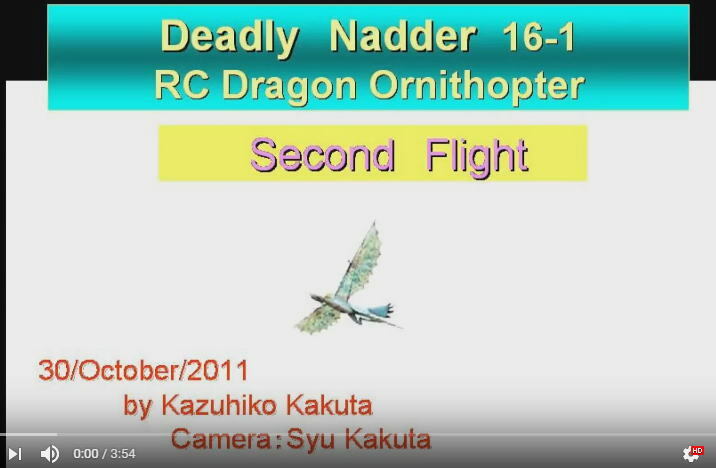 It was continuation of a crash afterwards. 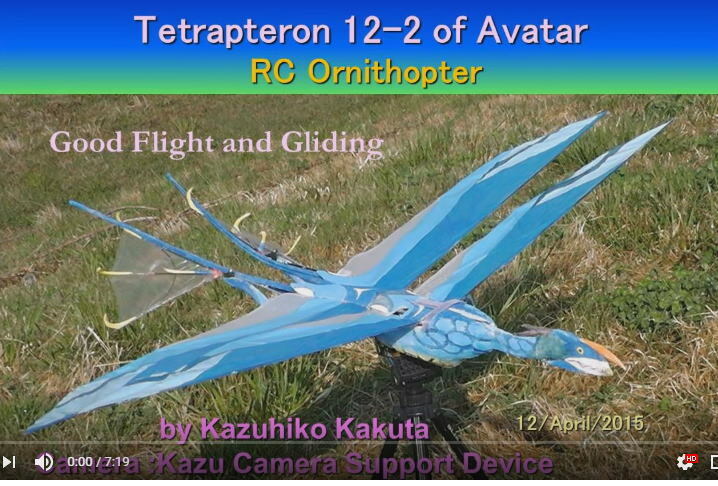 I became a doctor, and I got possible to spend money freely and came to let at last you fly in a model helicopter somehow. 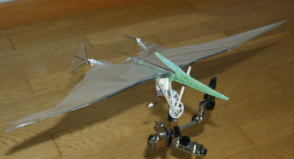 However, it required the part purchase, adjustment and money and time abundantly and gave up the helicopter. 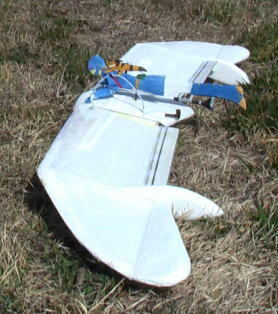 I have been tired when I fly a too fast model airplane. 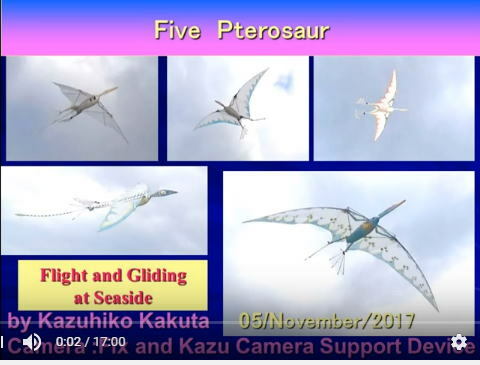 So I arrived at gliders. 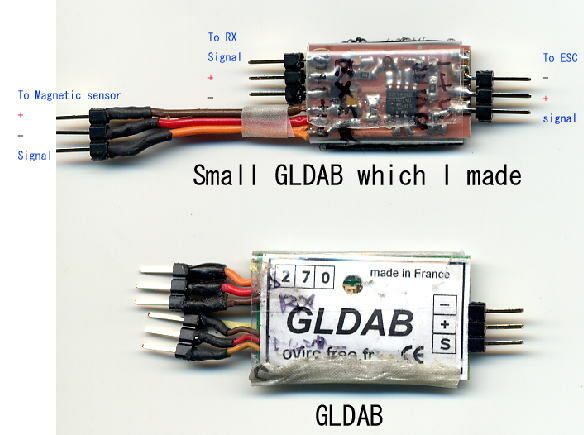 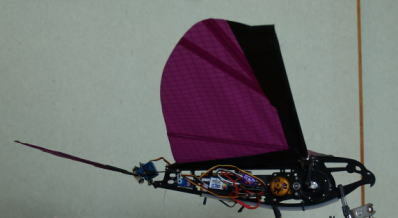 In particular hand lunch gliders are small and are hard to be broken even if I fall, and repair can immediately even if broken. 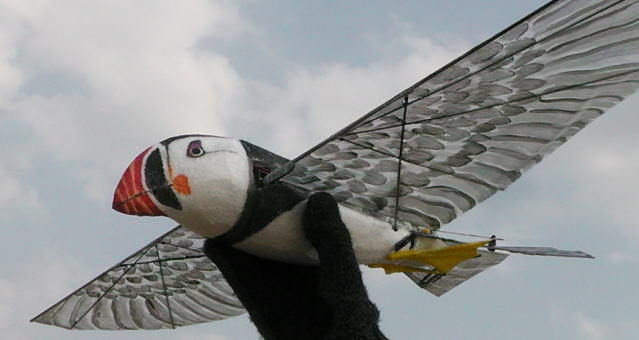 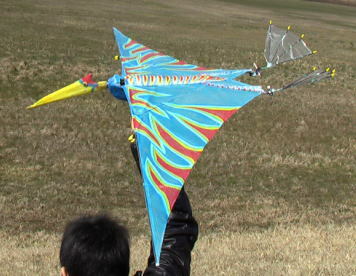 A small hand lunch glider I forecast wind, and to fly is pleasant. 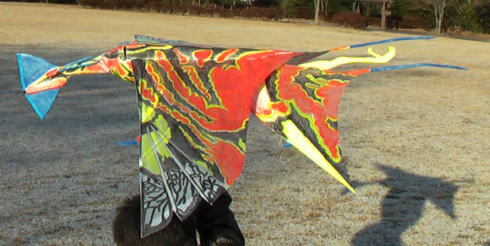 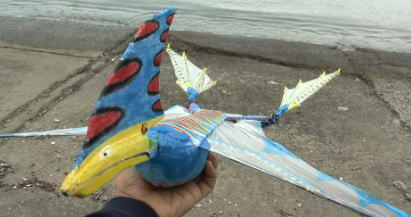 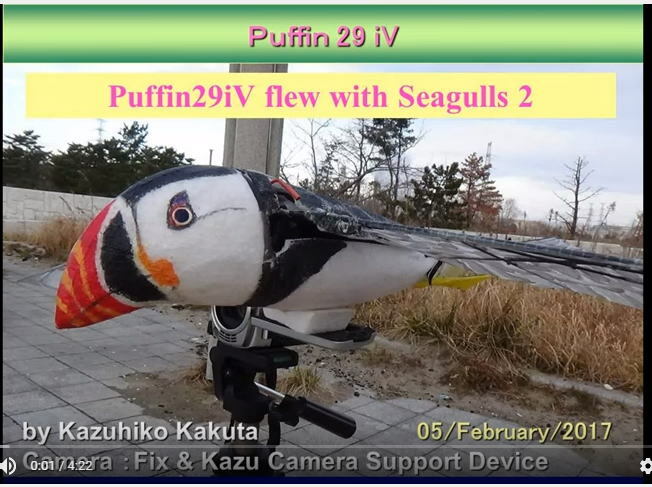 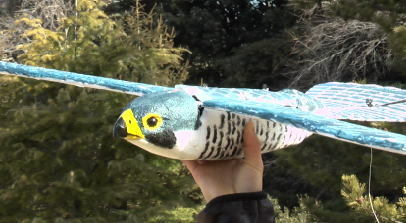 I can fly it in a park nearby. 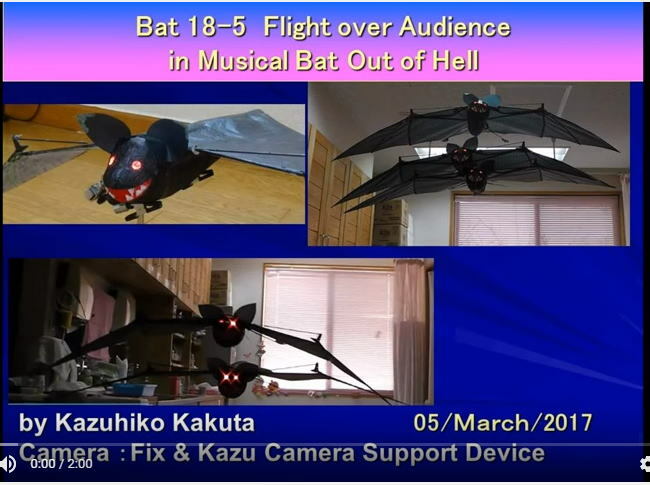 In winter, 2005, there was broadcast of Indoor Plane of Mr. Koichi Tanaka by the NHK eagerness times. 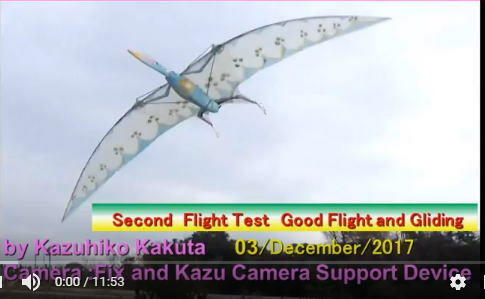 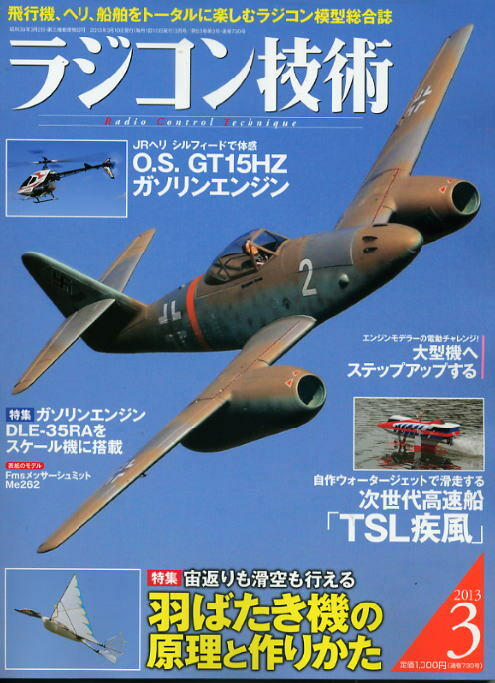 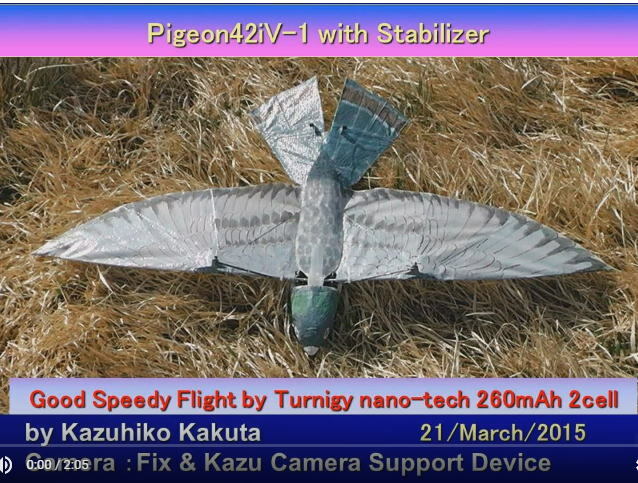 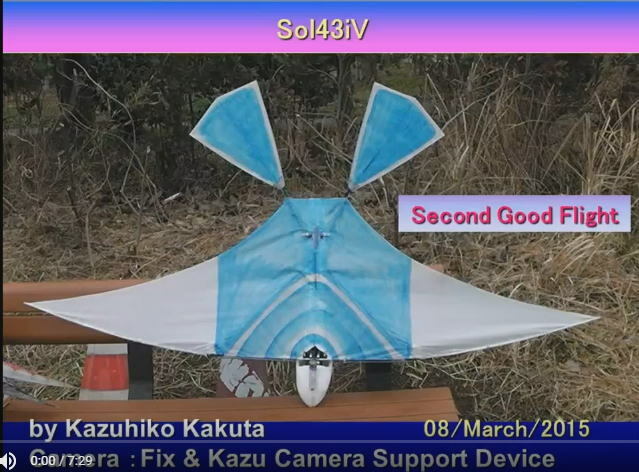 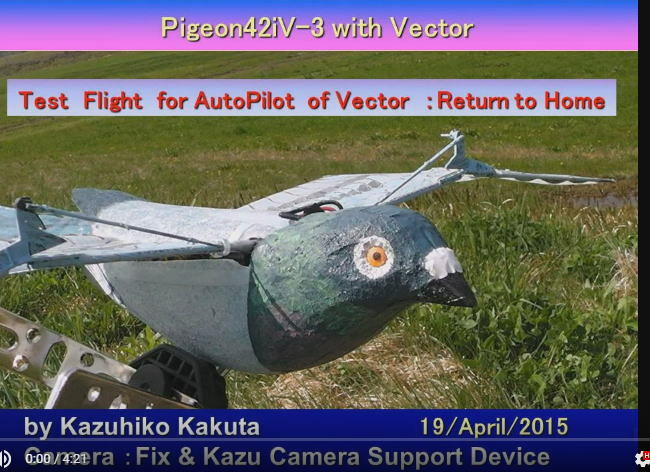 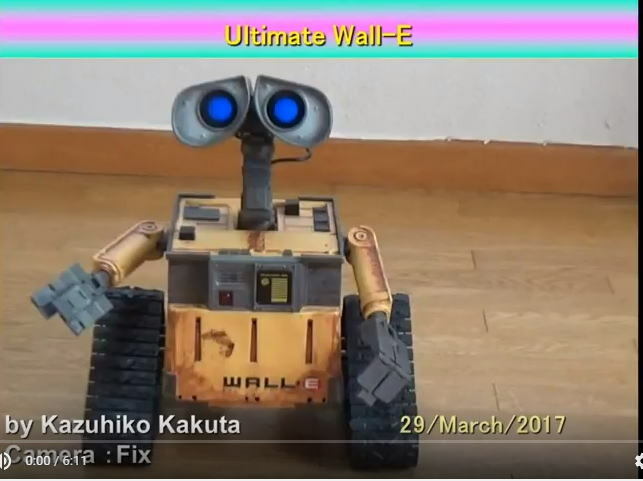 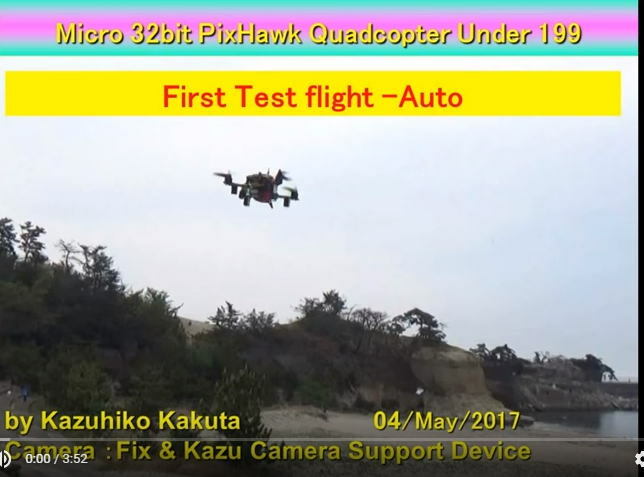 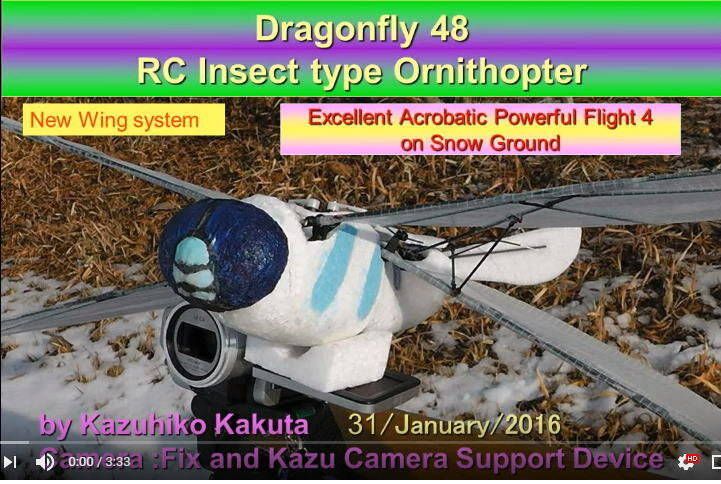 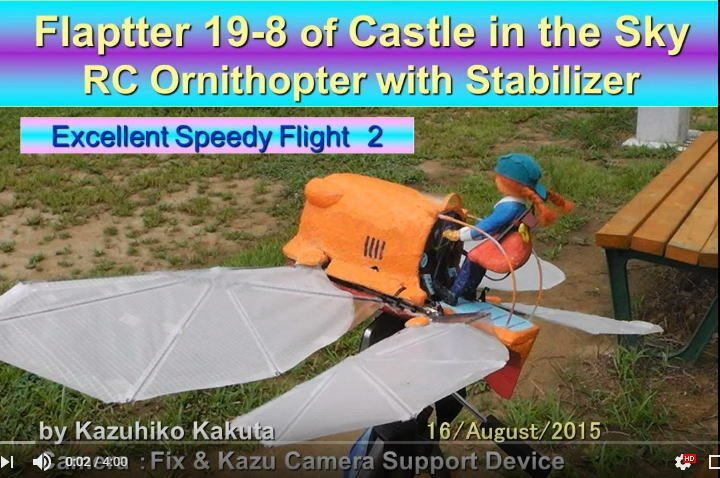 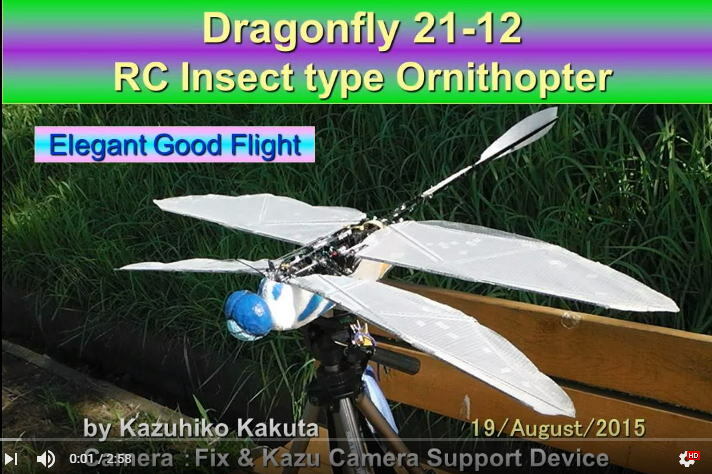 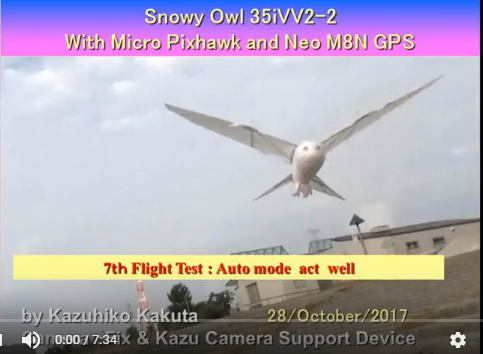 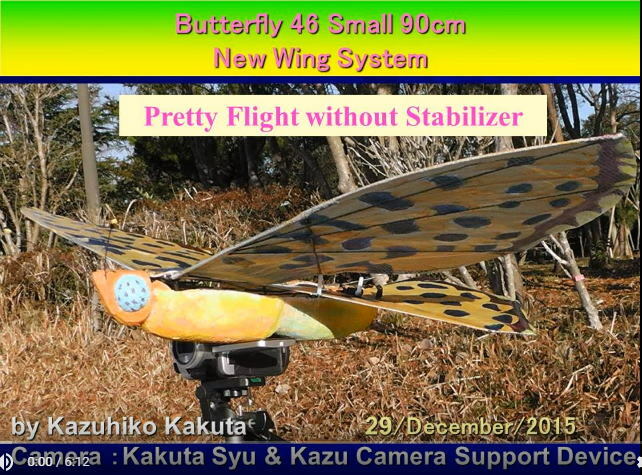 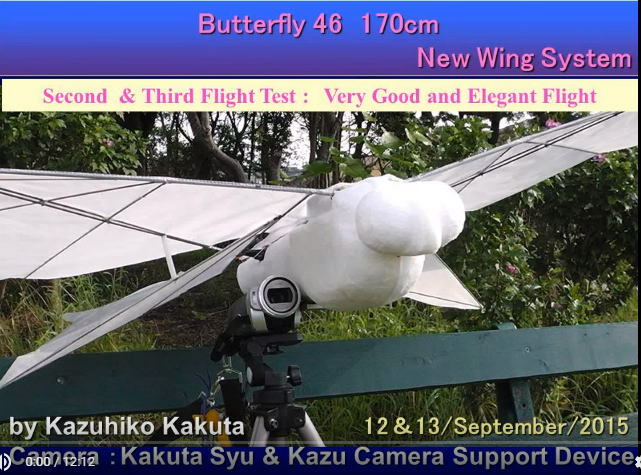 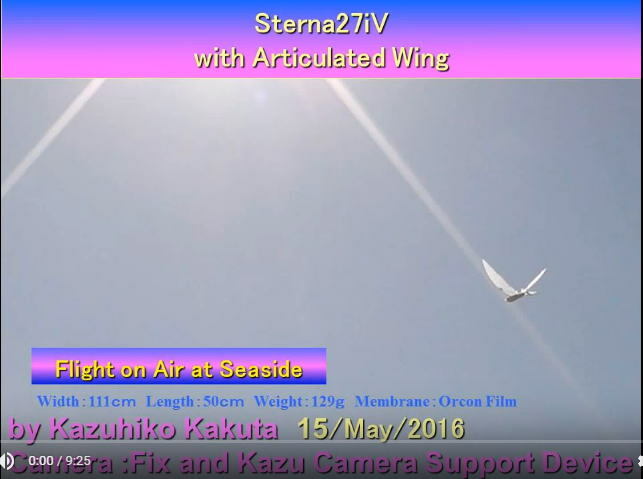 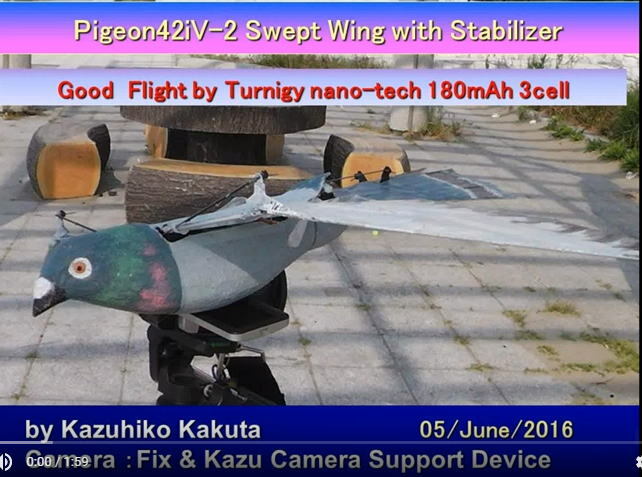 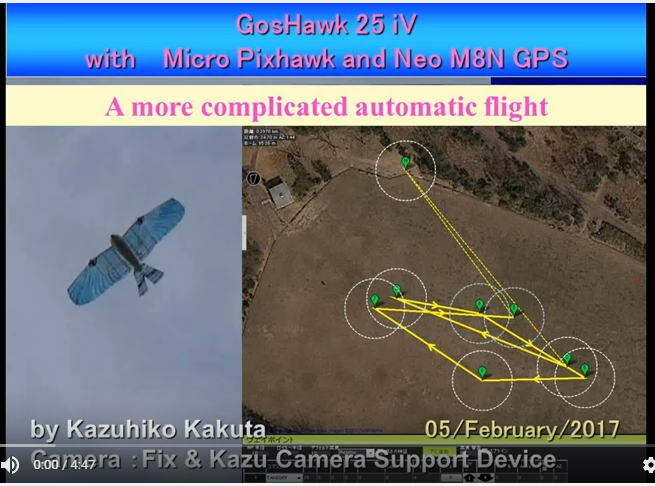 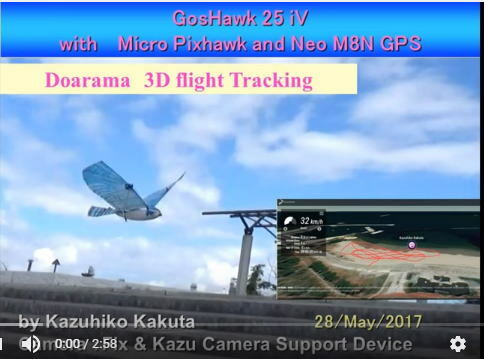 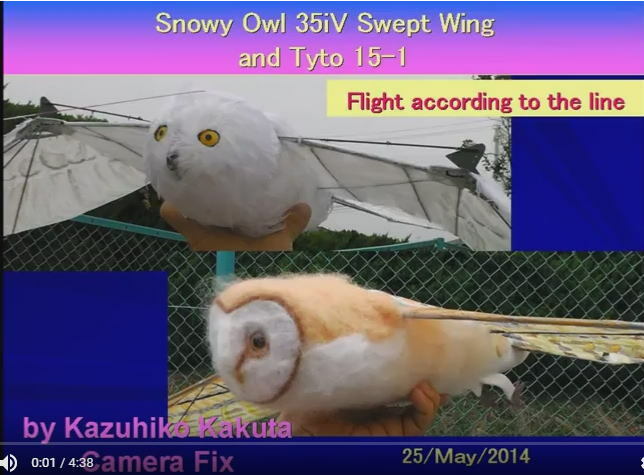 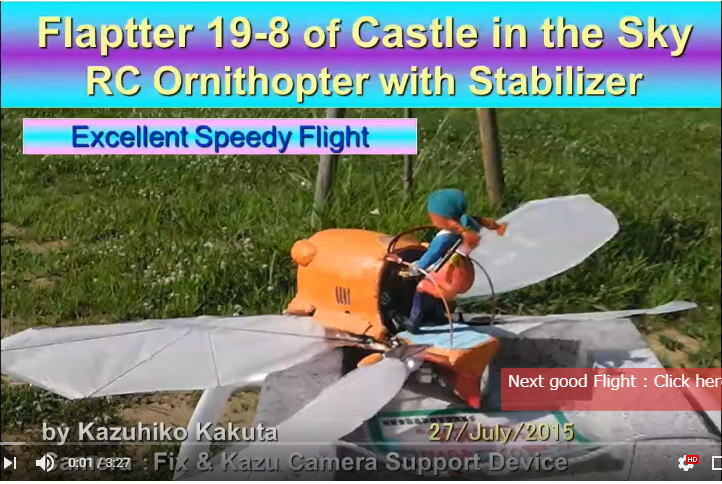 I watched this, and I enlarged a dream to the ultra small radio control airplane which could fly indoors. 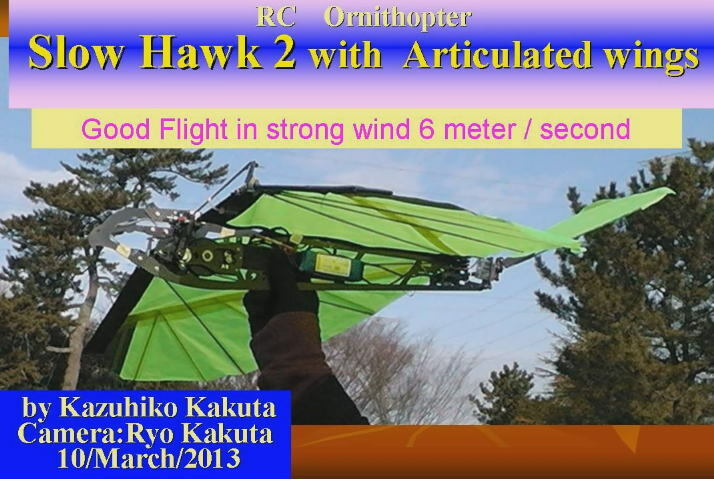 I run about for study, the material gathering immediately and make No.1 airplane of 3g in weight (Indoor 1). 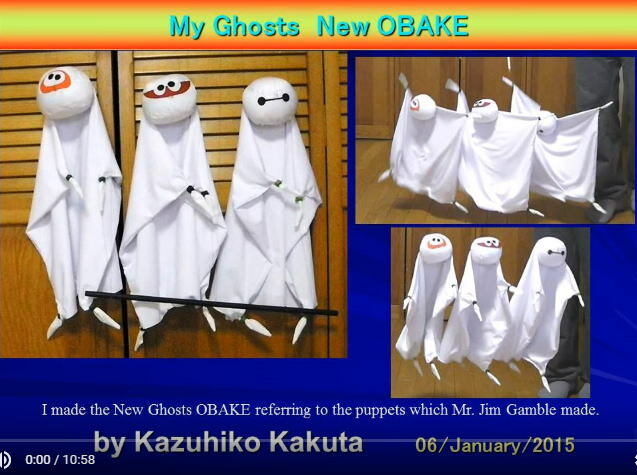 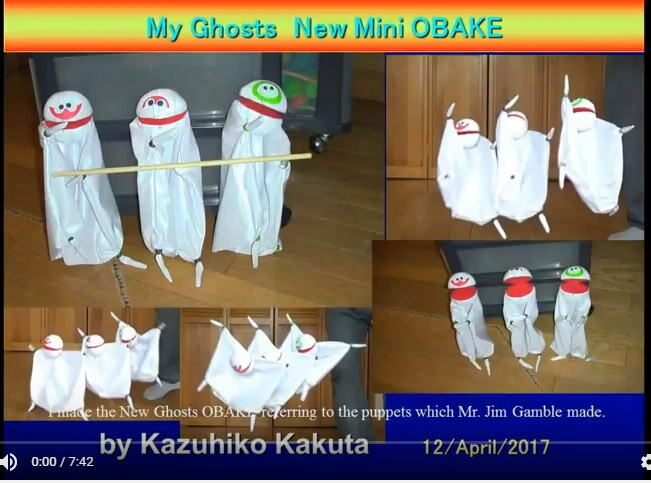 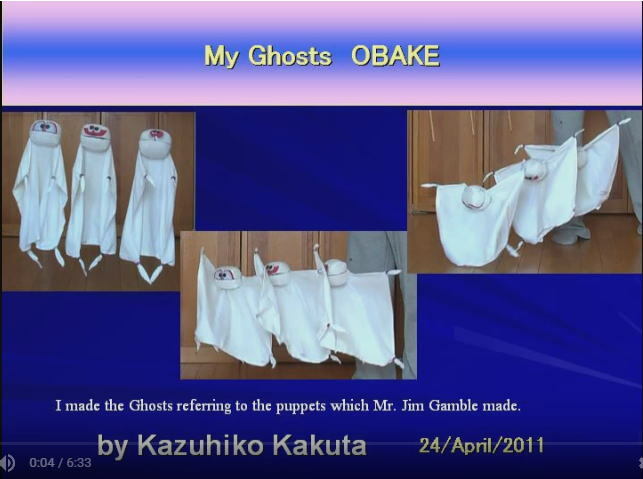 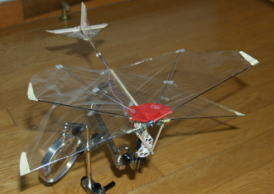 I made No.2 airplane (Indoor 2), and I was captivated by a ornithopter of Mr. Takahashi. 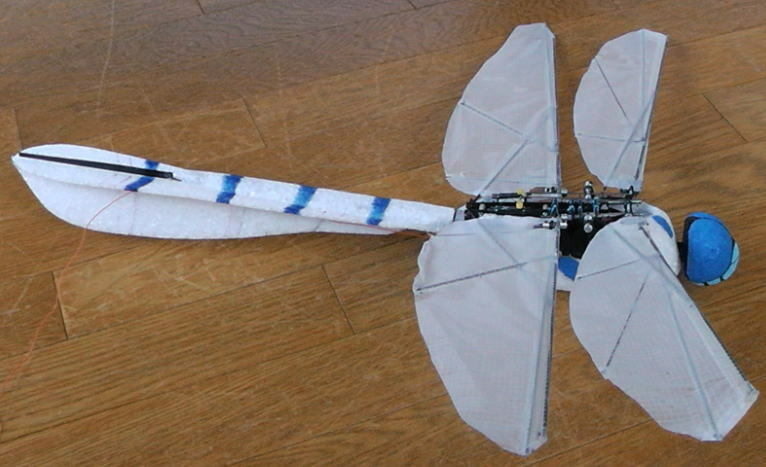 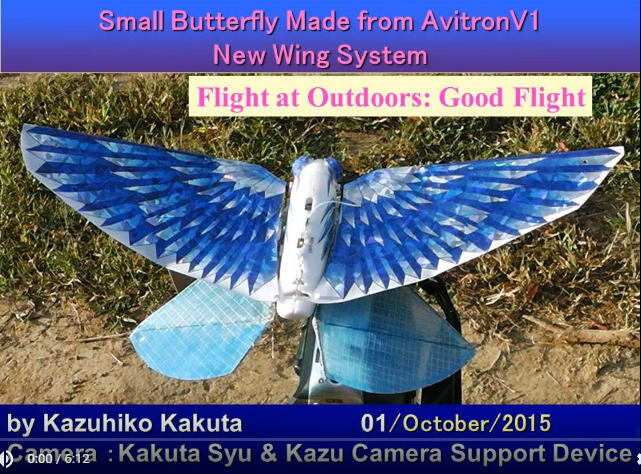 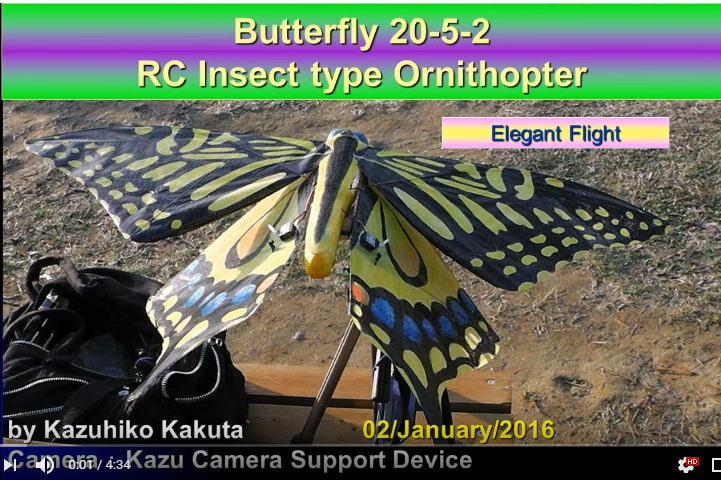 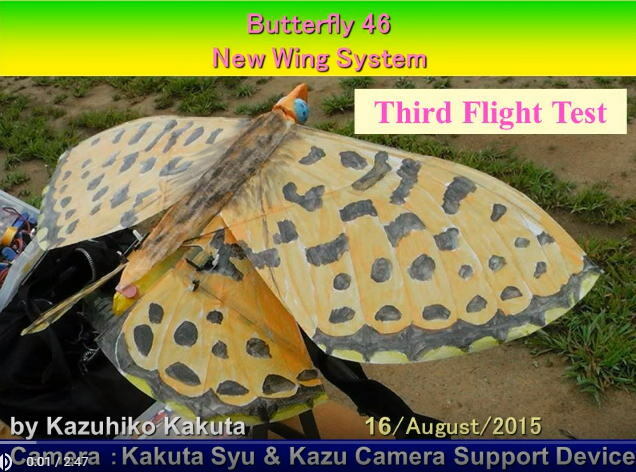 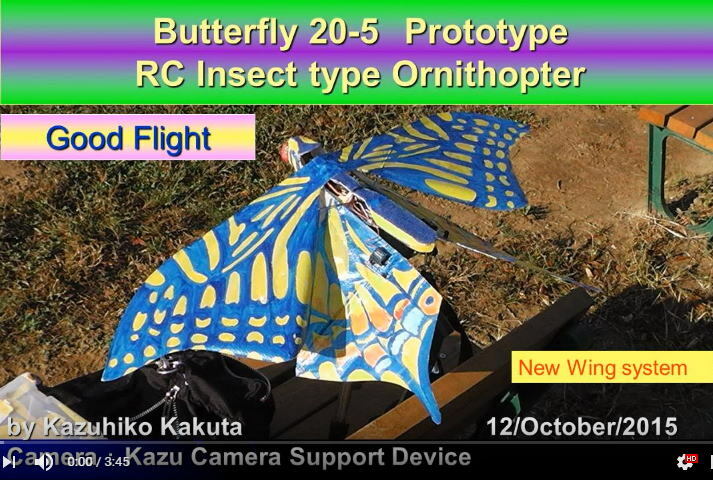 I made an ornithopter (butterfly 1). 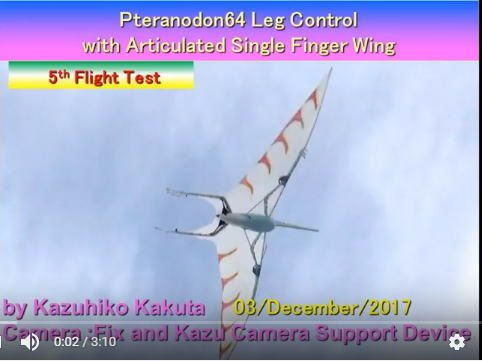 While I made it, it flashed when an ultra small pteranodon of radio control (Pterosauria) might be made by this method, and I investigated documents of a pteranodon. 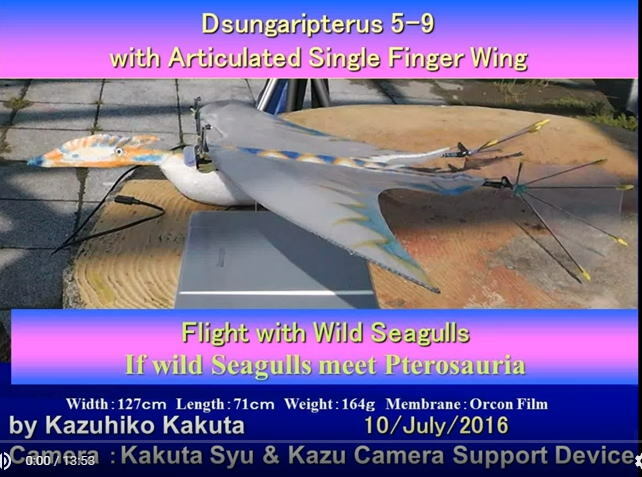 I found documents about detailed flight of a pteranodon and started a reading, production. 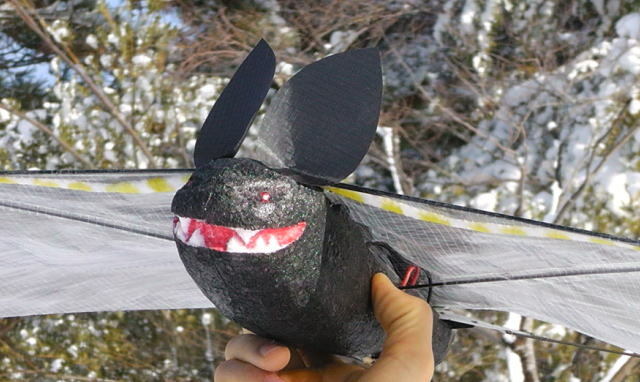 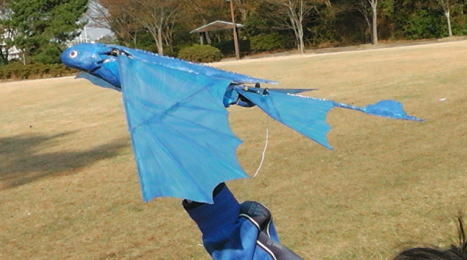 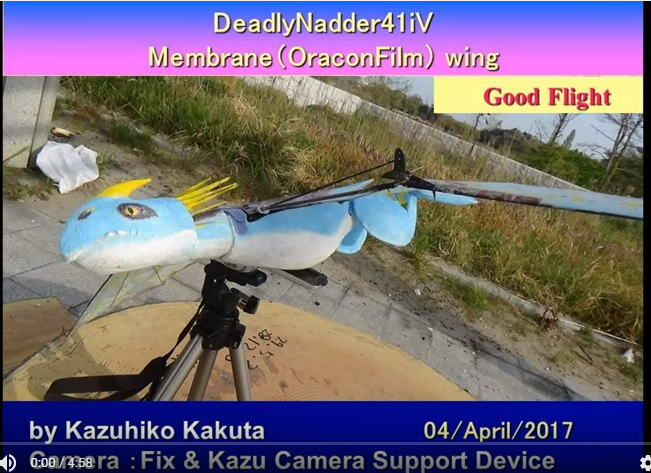 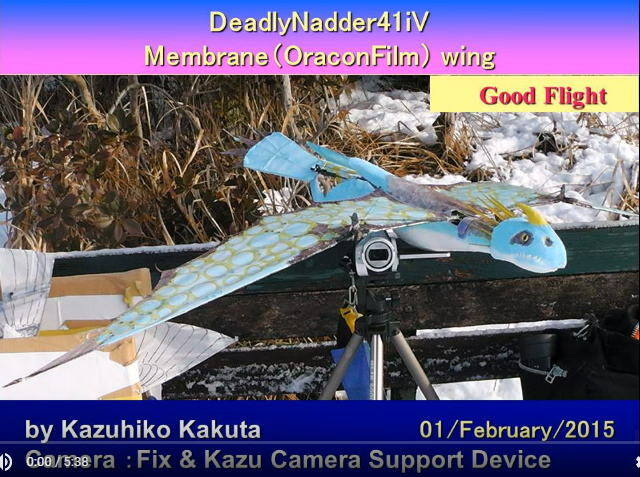 I did various trials in Pteranodon 1, but it does not fly well, and I learn it from failure and make Pteranodon2. 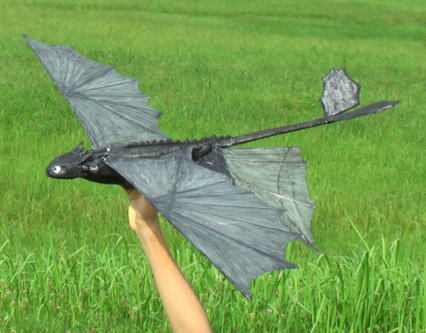 And I make smaller Pteranodon3. 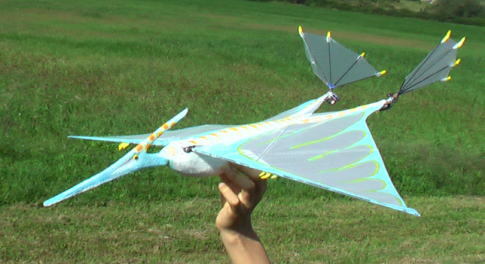 Now I am making Pteranodon5 which had a near flight system to a more real pteranodon afterwards. 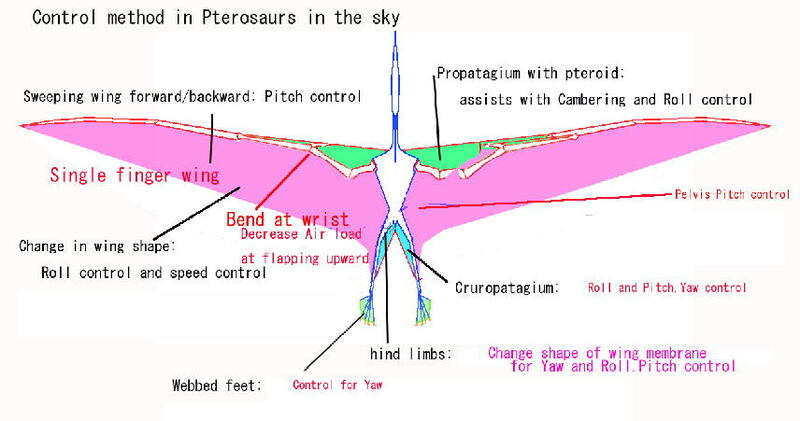 I have a dream to fly Pterosauria. 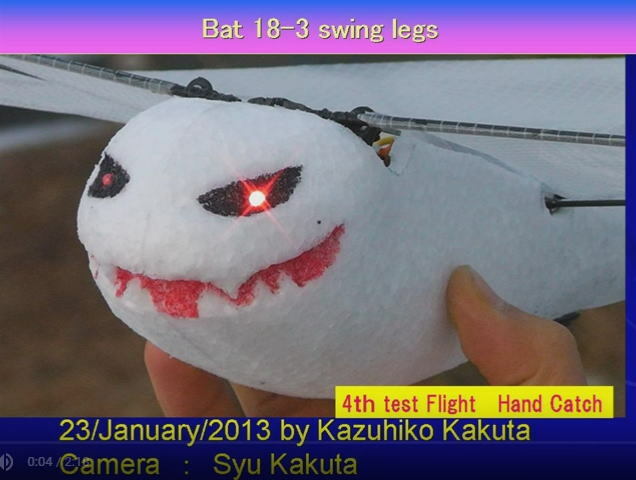 I want to show it to allergic children (my pacients). 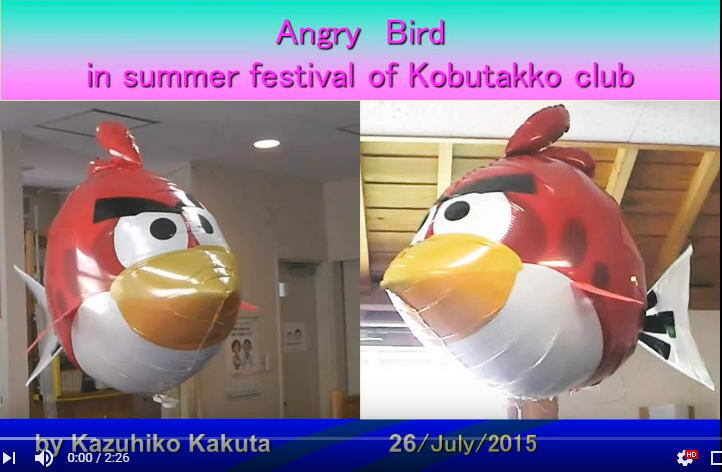 However, I do not get that time in medical examination and treatment. 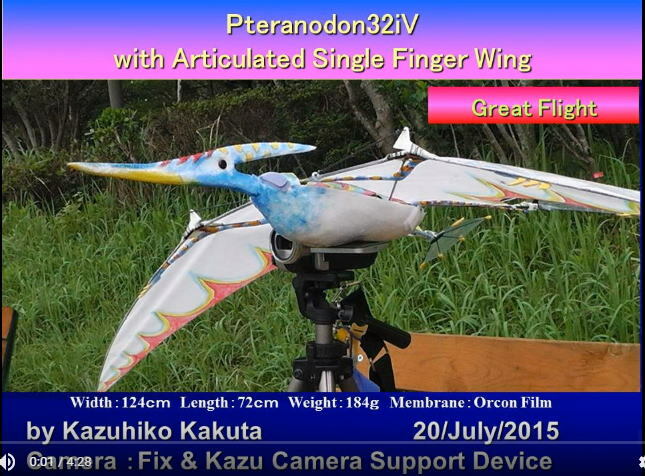 Thus I put the appearance that pteranodons fly in HP. 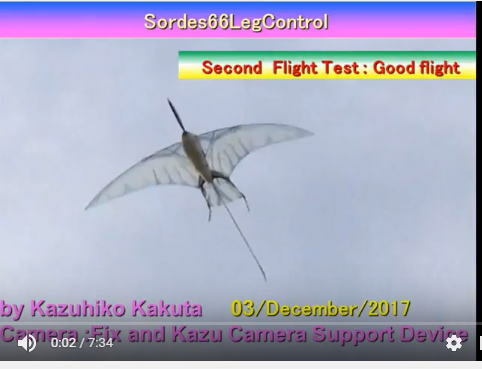 When you click an image, a detailed page opens. 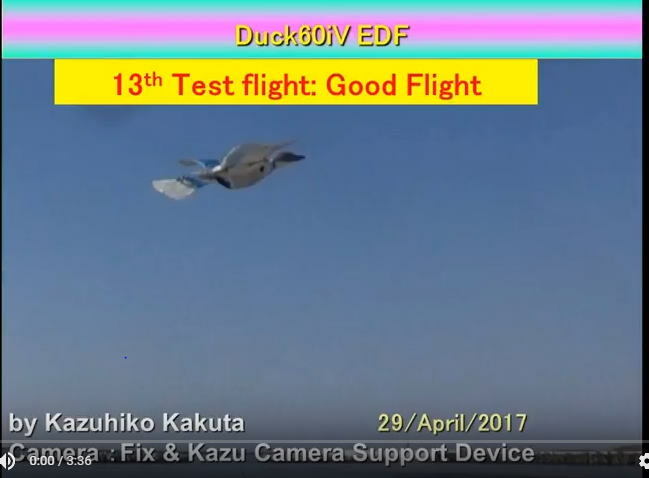 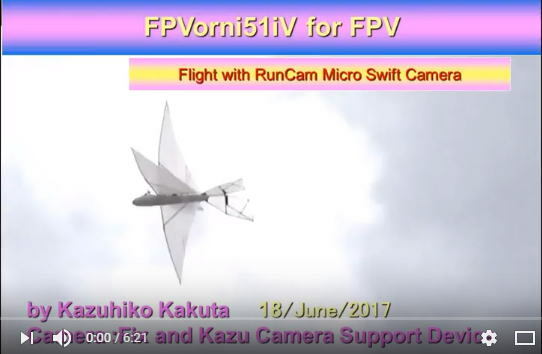 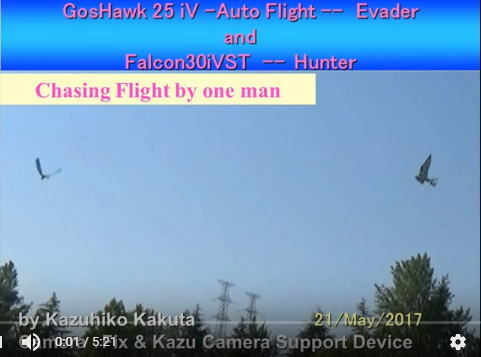 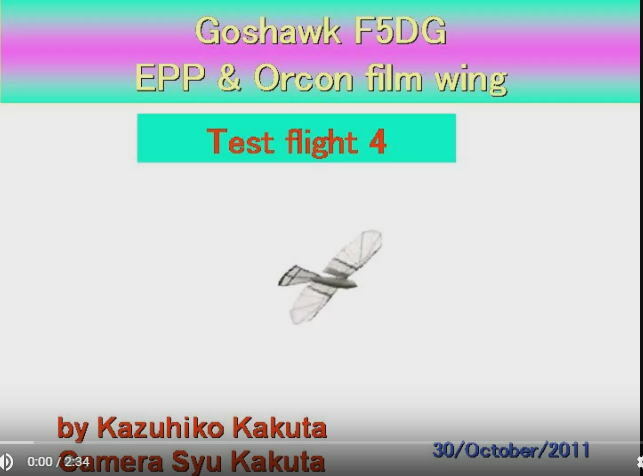 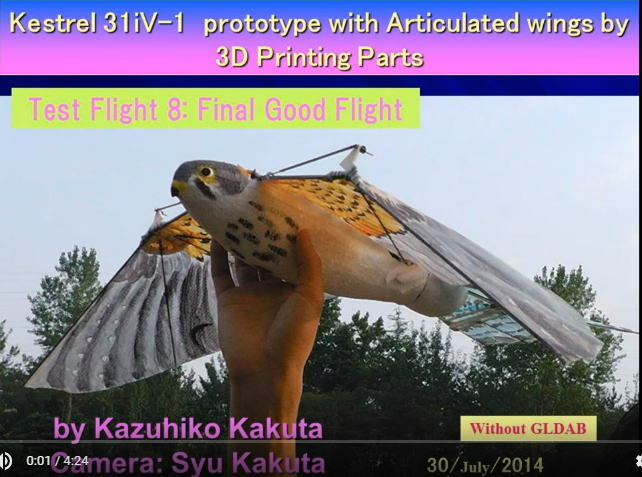 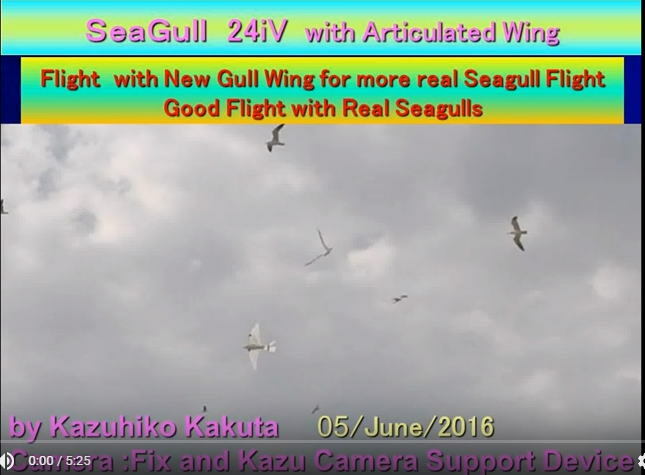 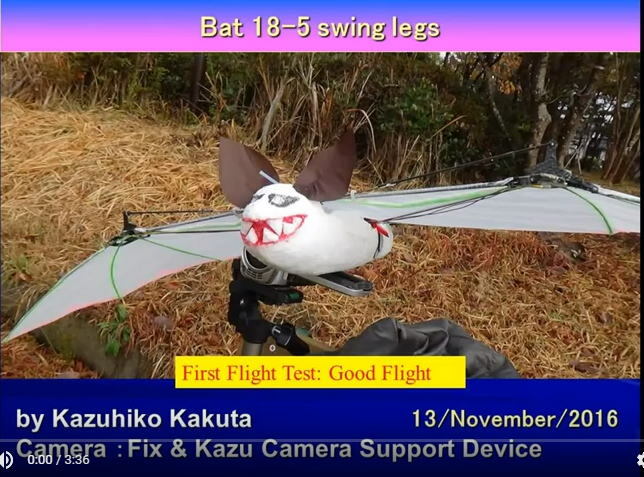 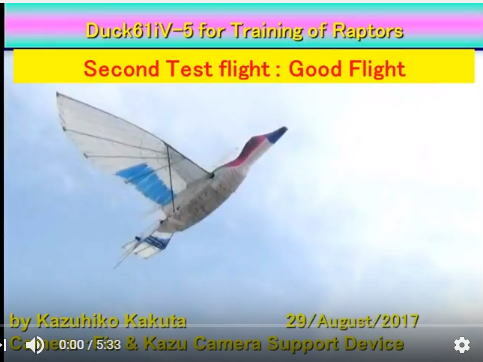 There is a video of a flight (VTR). 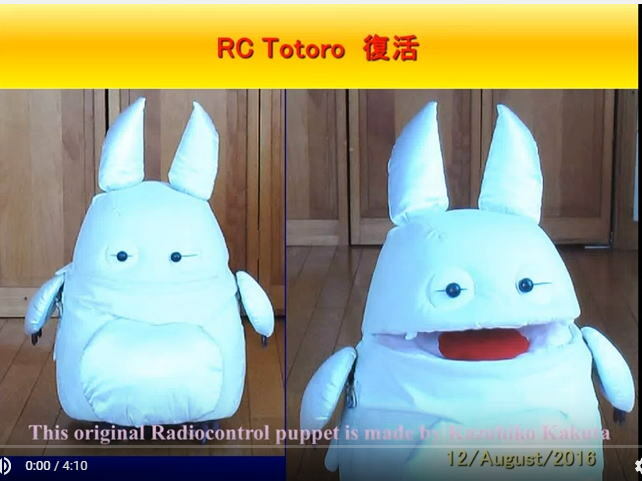 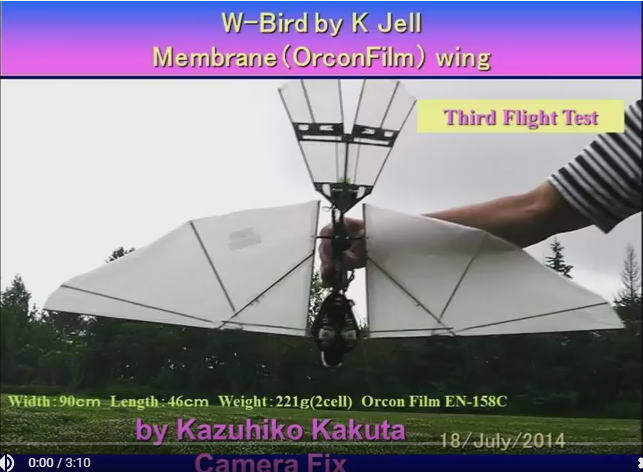 My article appeared with the title "A principle and a production method of an ornithopter".on radio control technic. 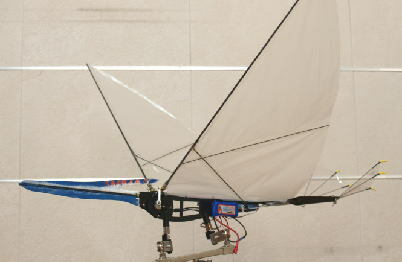 March, 2013. 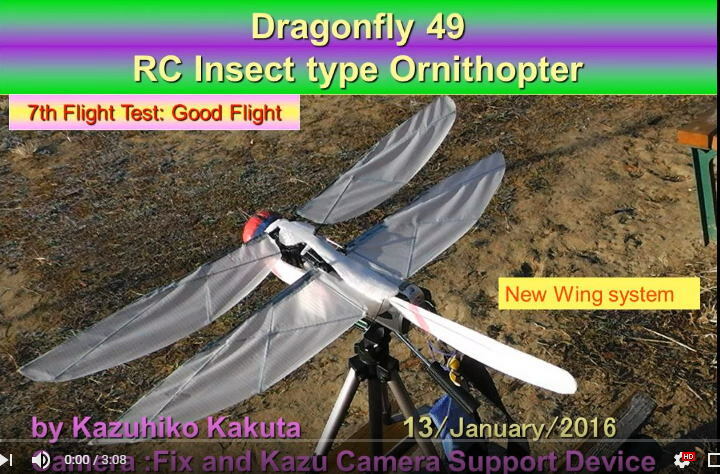 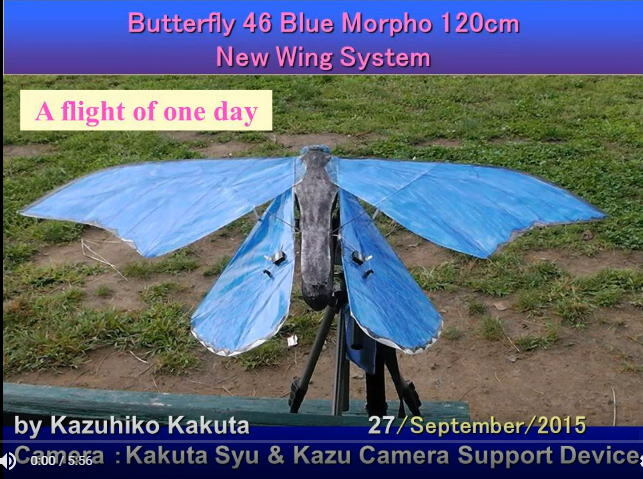 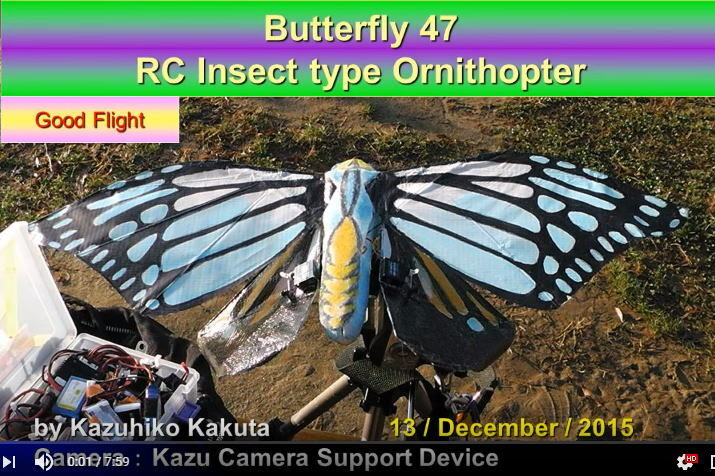 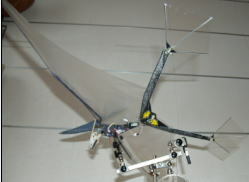 Ornithopters of this site was introduced with radio control technic. 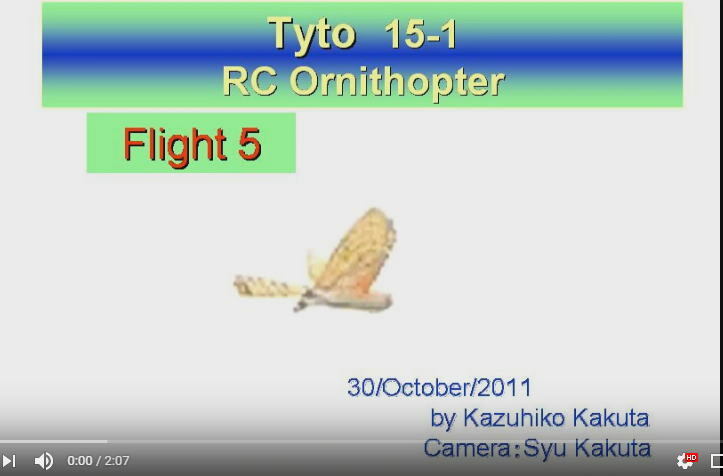 November, 2012. 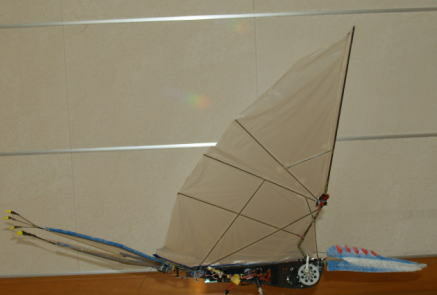 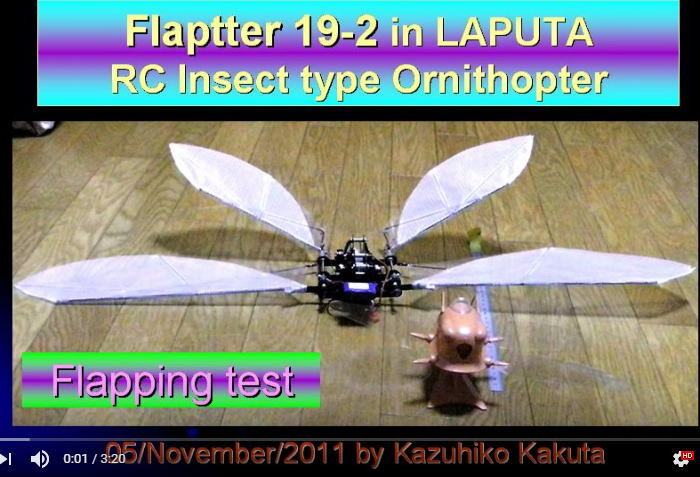 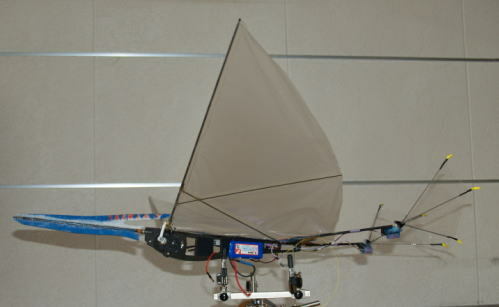 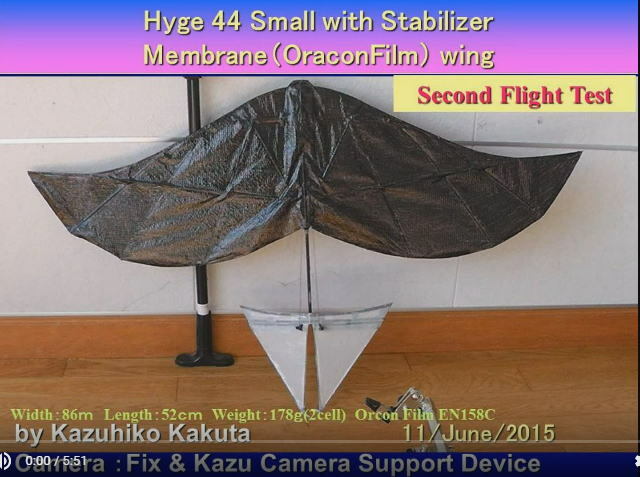 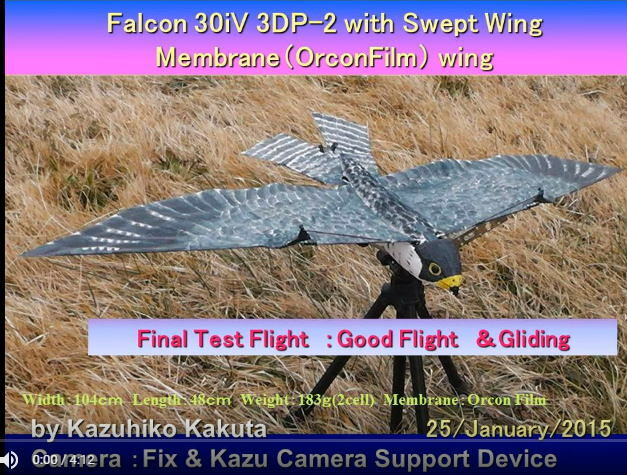 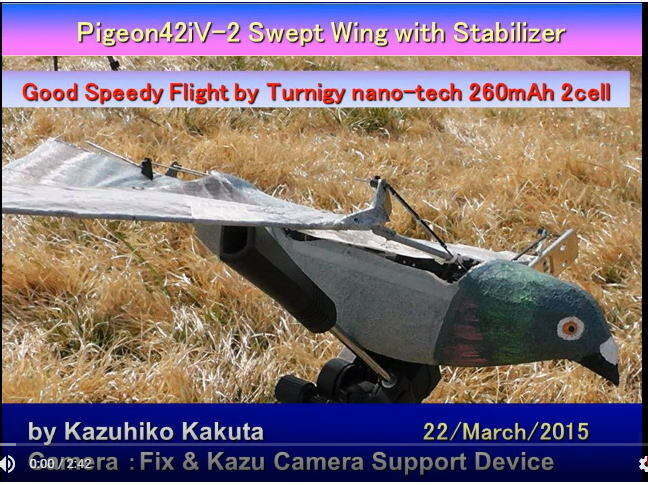 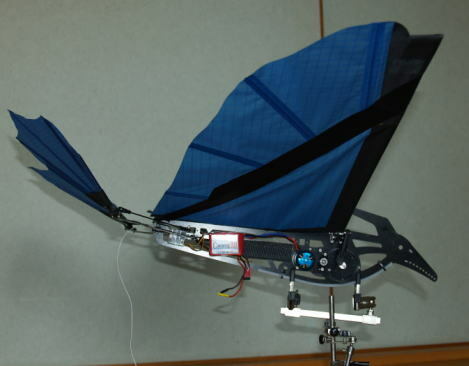 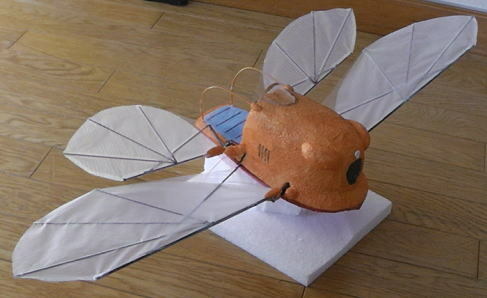 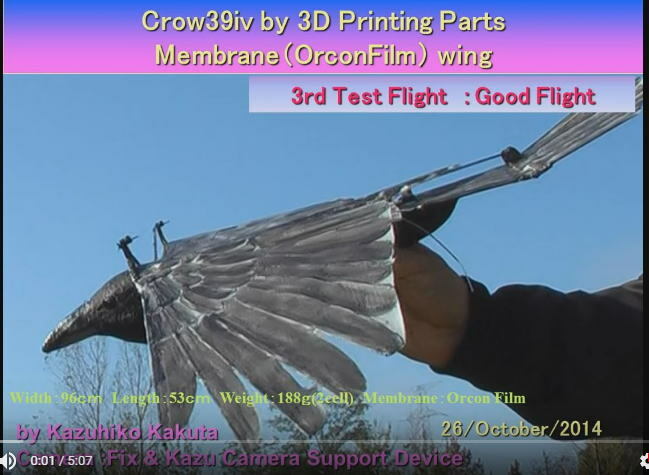 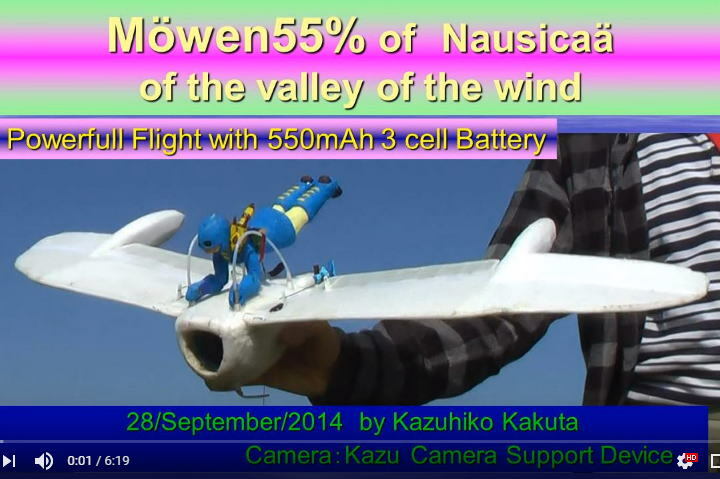 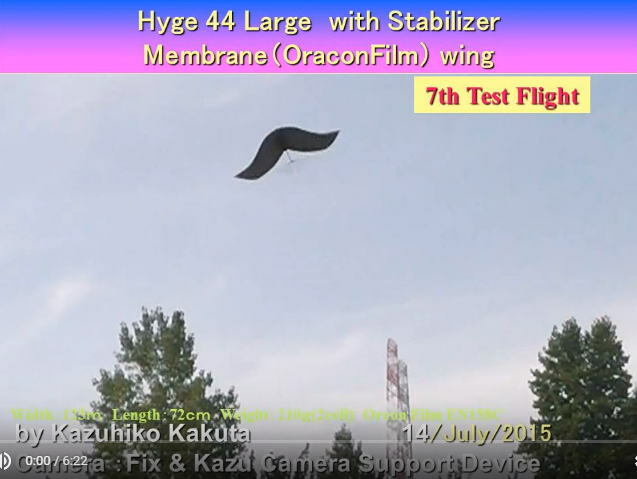 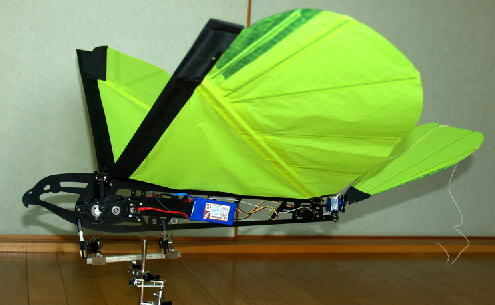 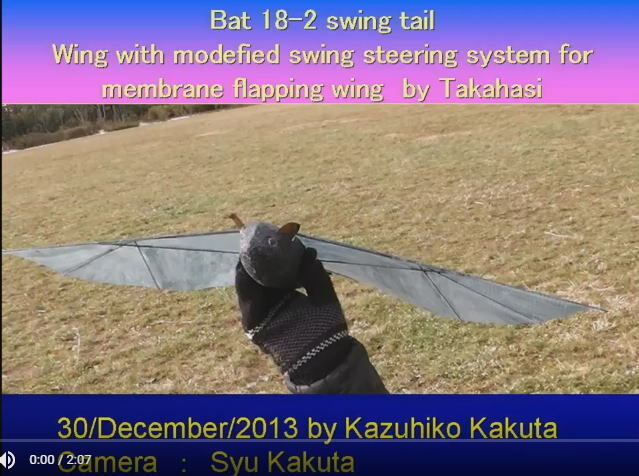 Title: "Ornithopter" that gliding is possible by electronic control. 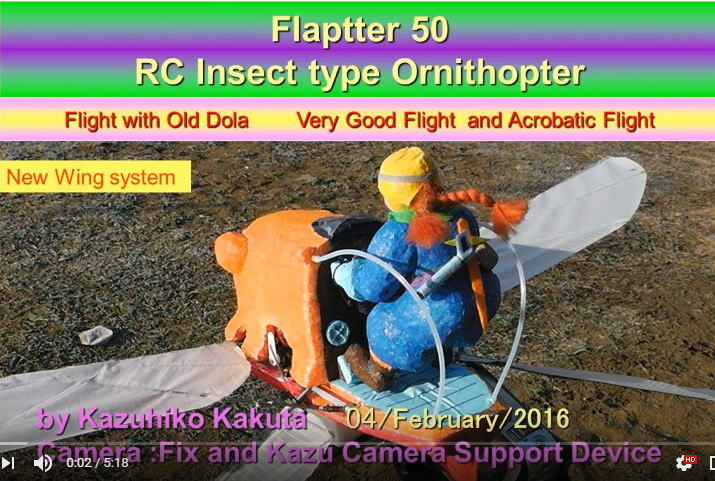 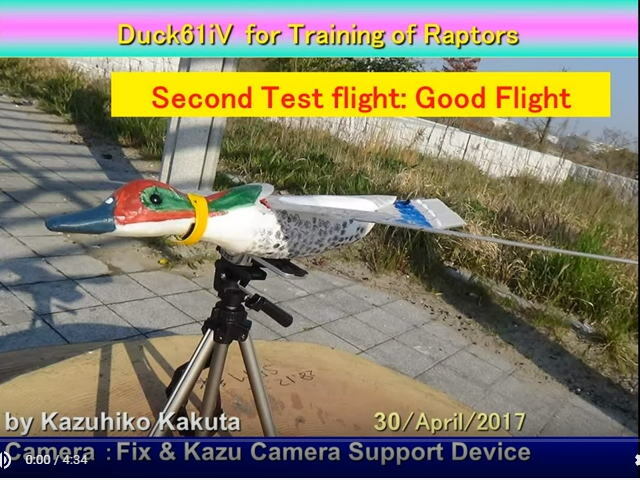 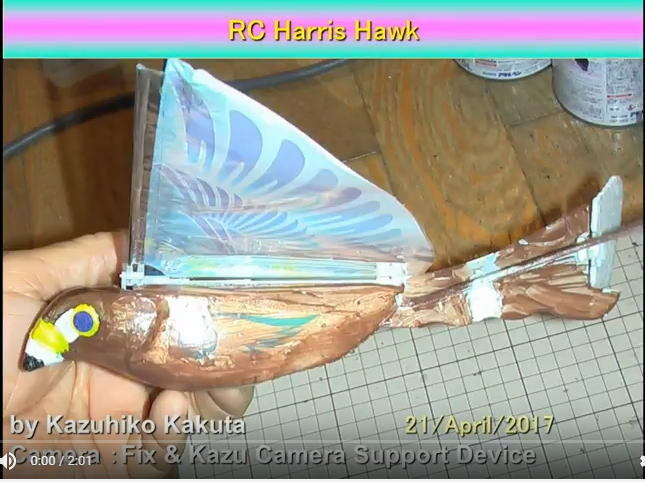 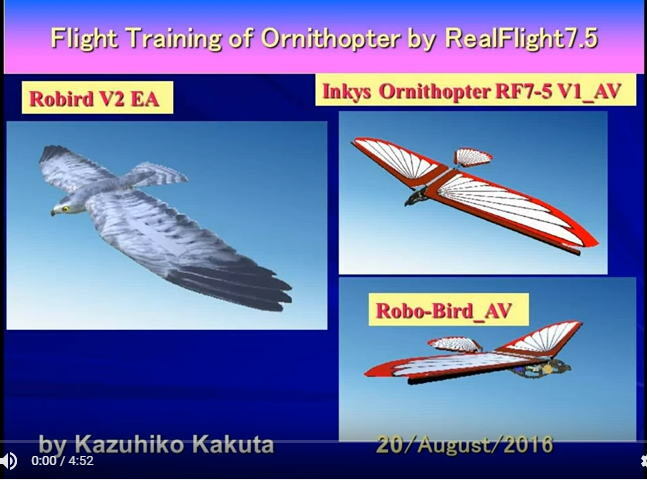 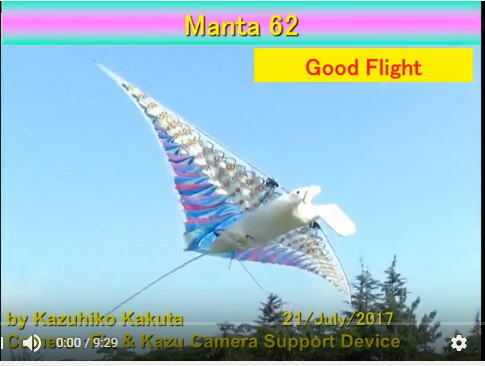 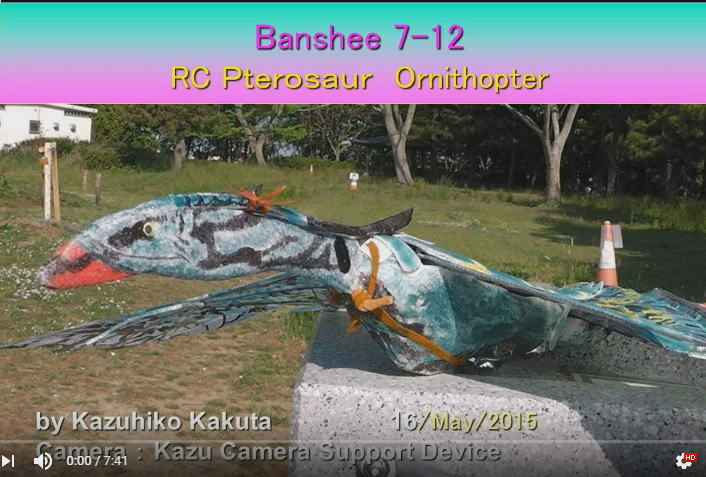 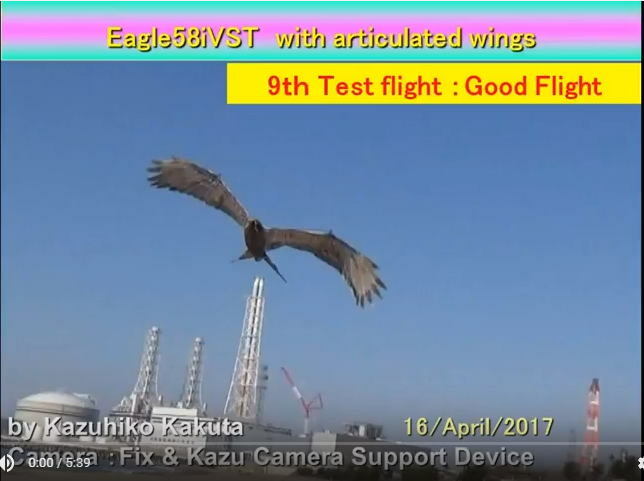 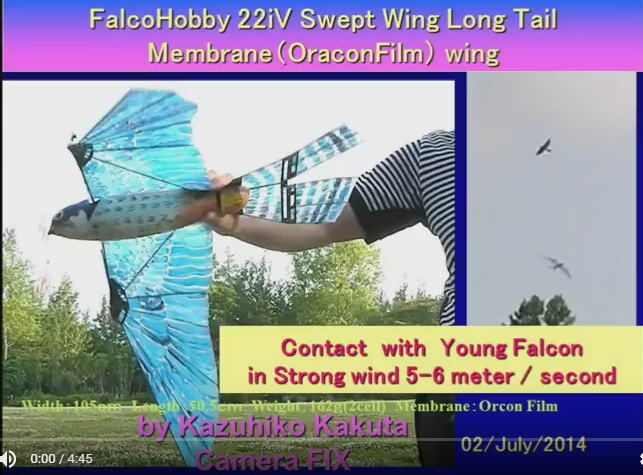 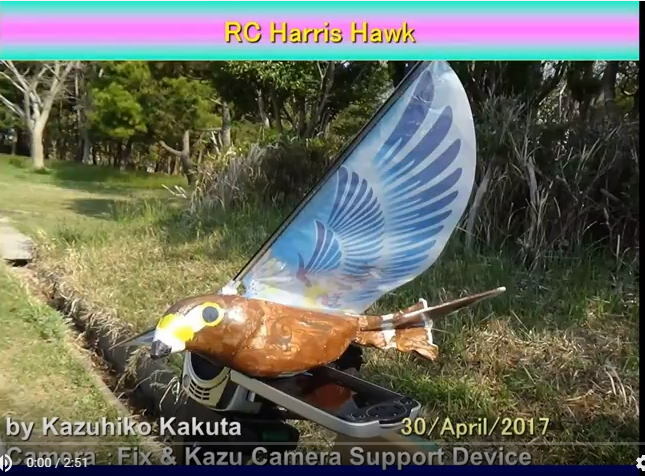 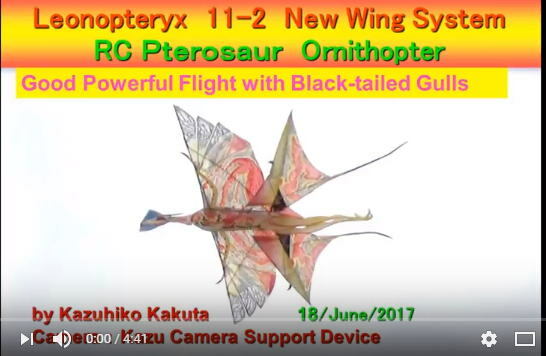 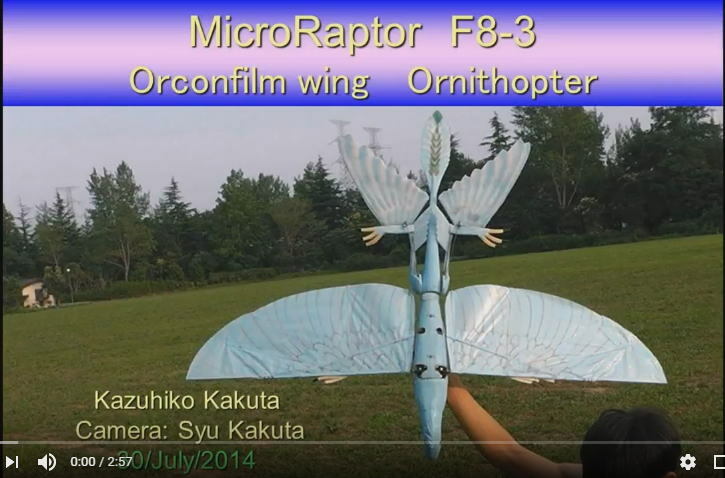 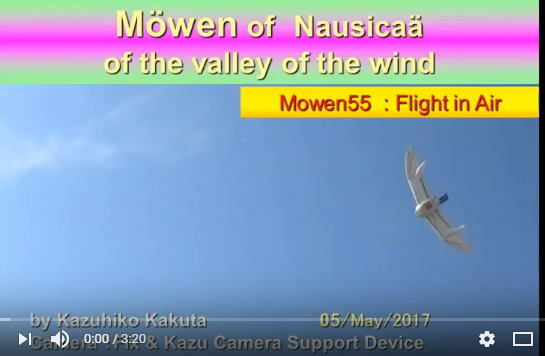 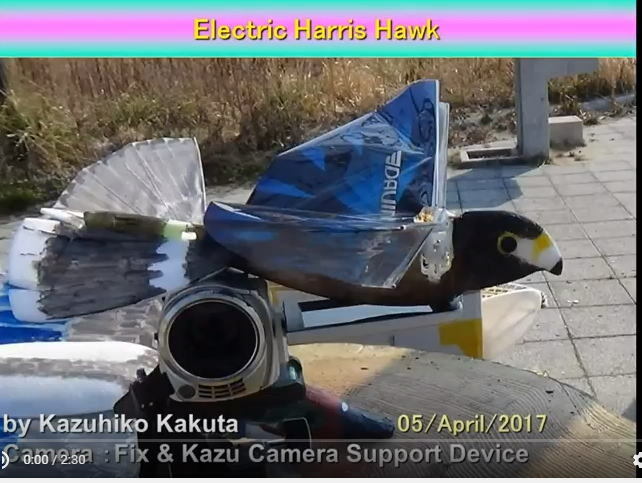 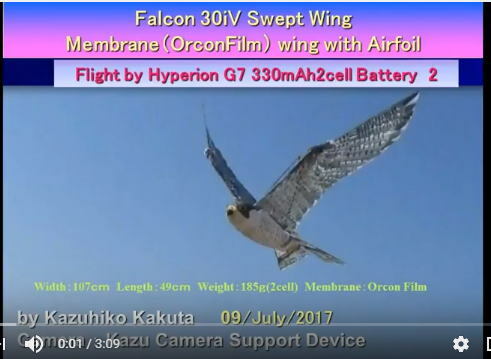 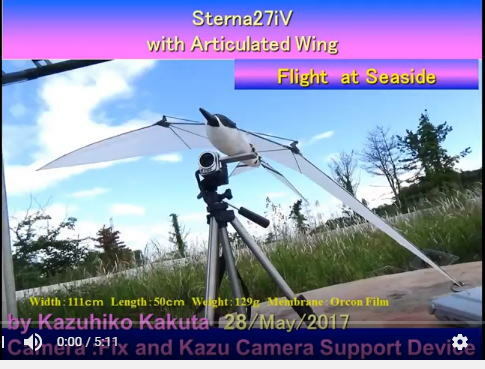 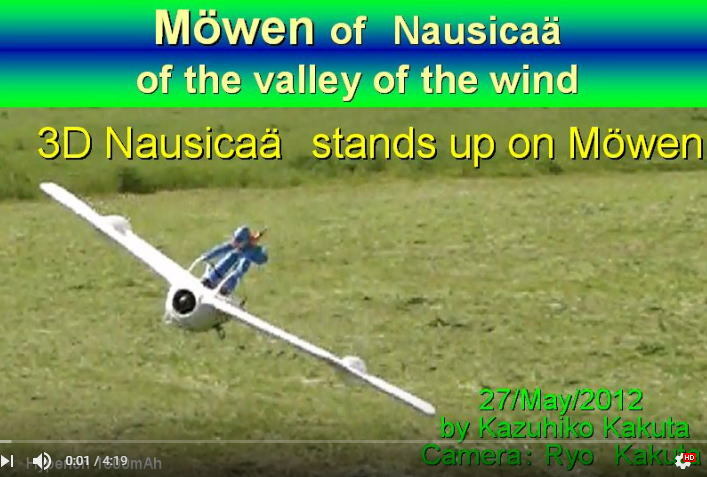 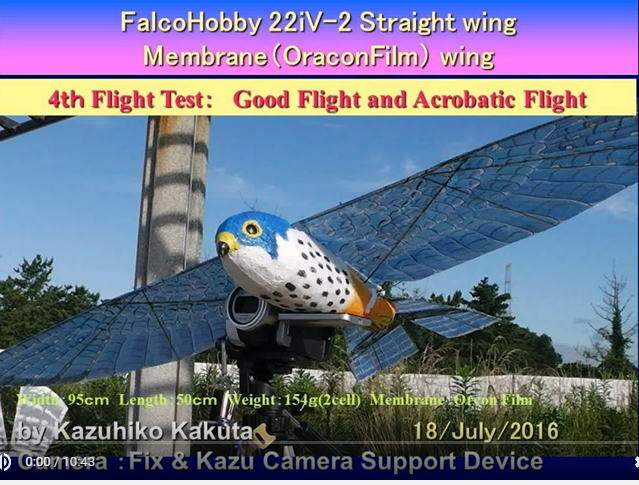 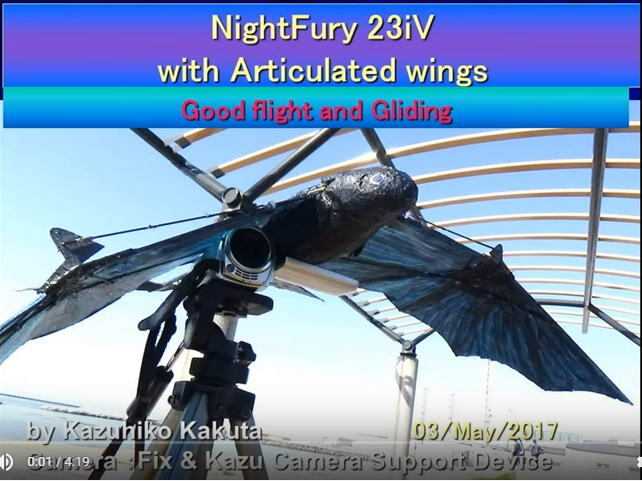 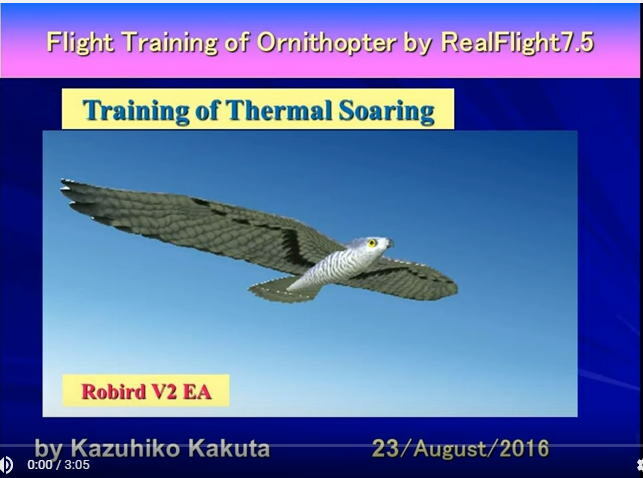 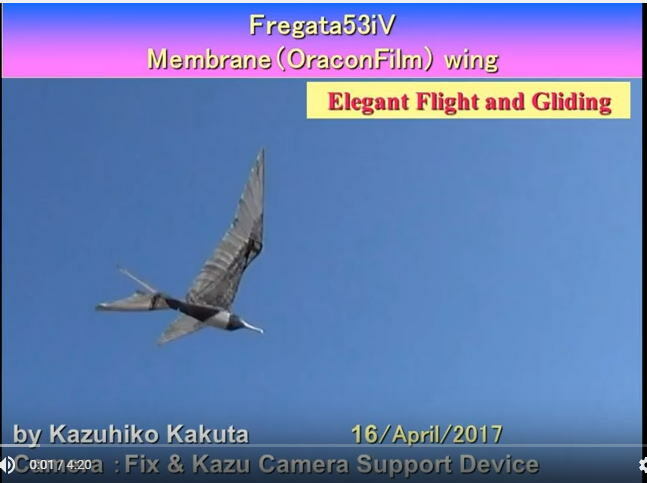 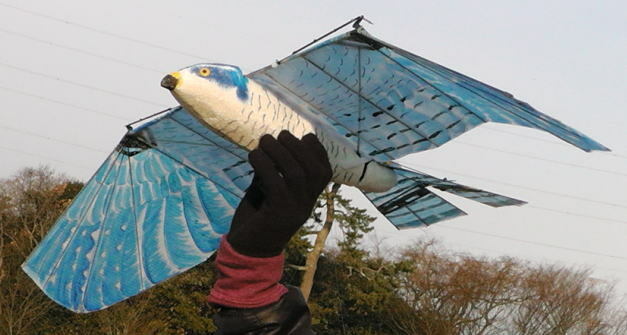 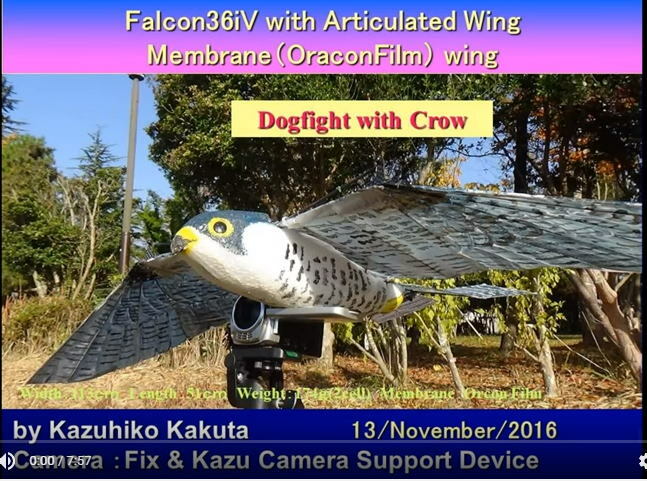 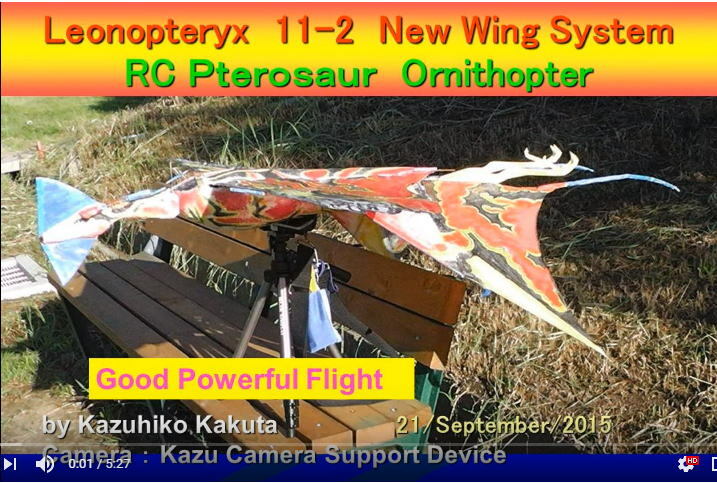 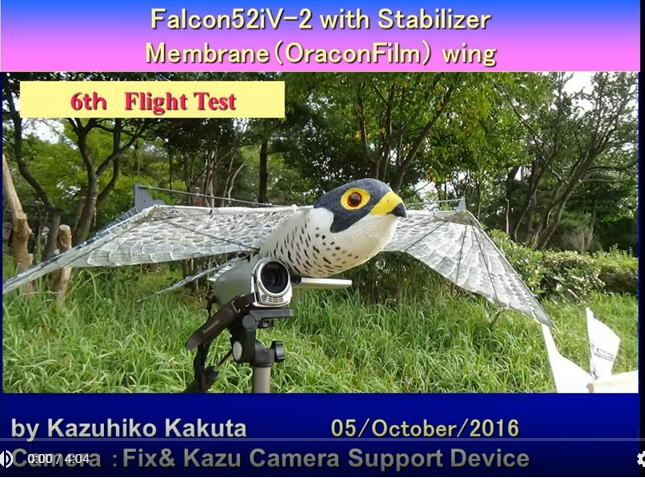 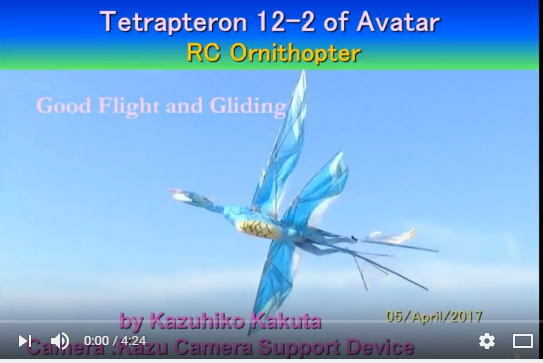 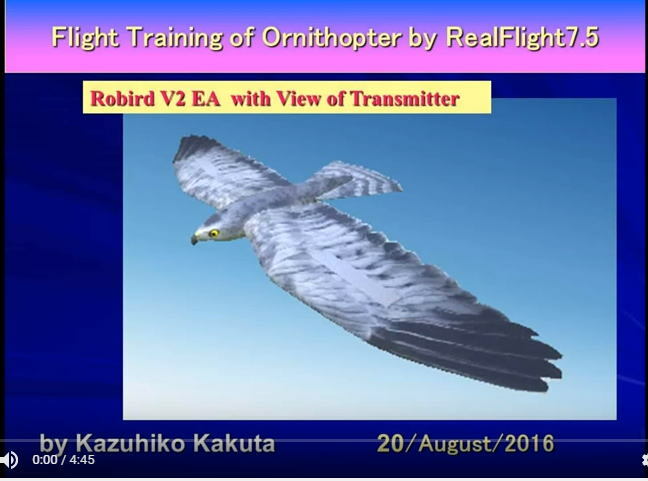 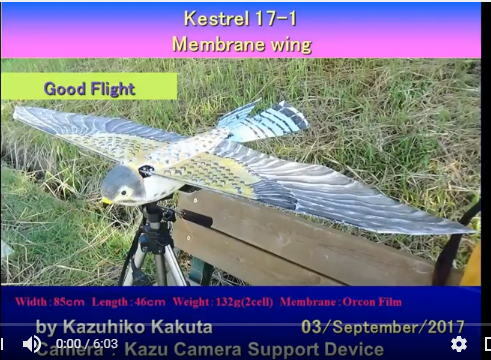 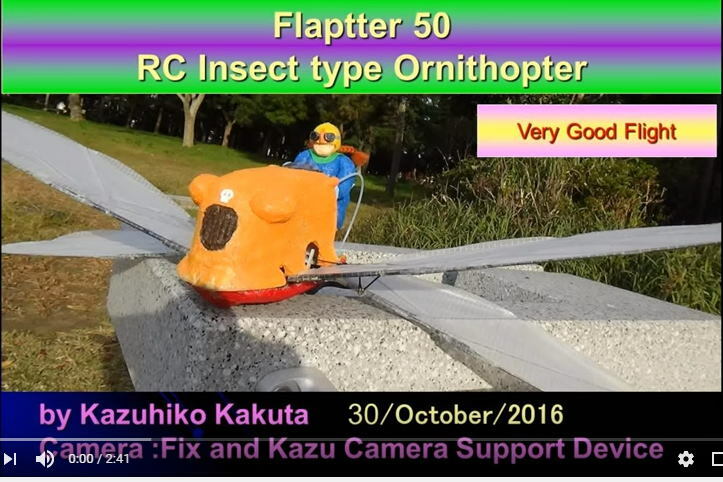 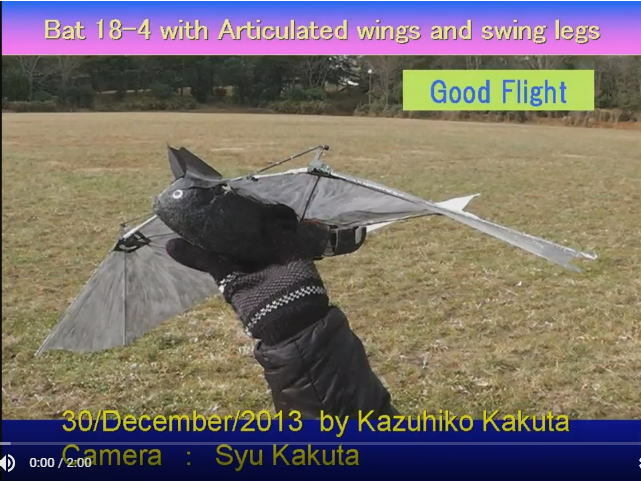 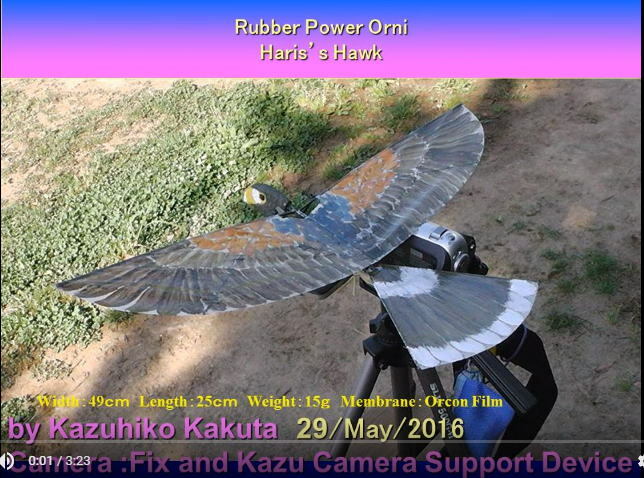 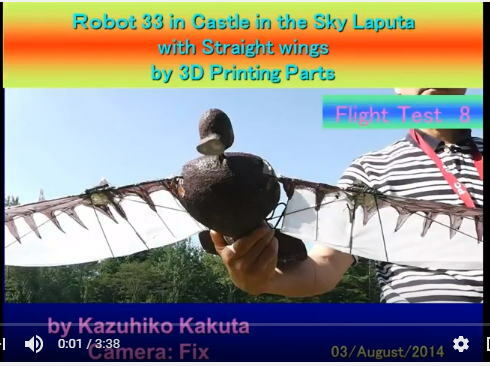 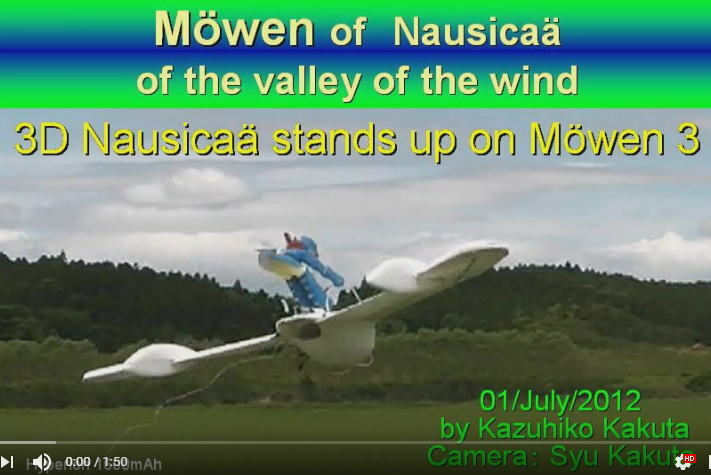 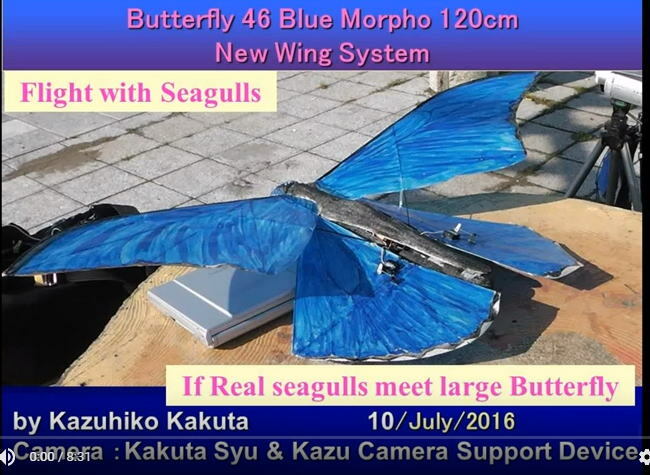 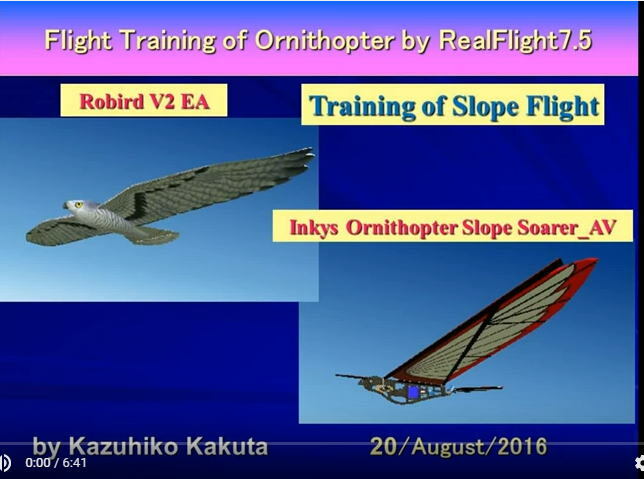 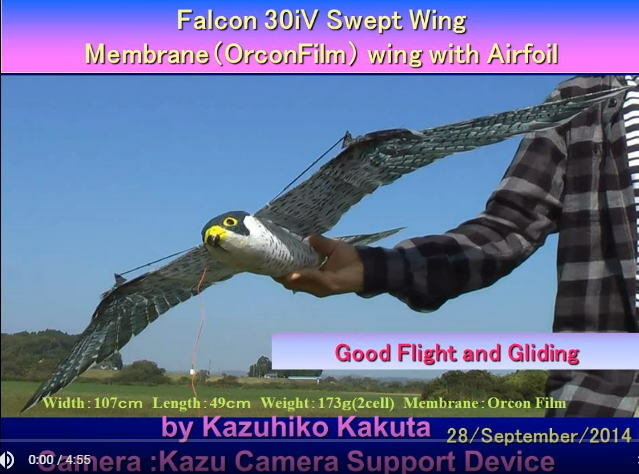 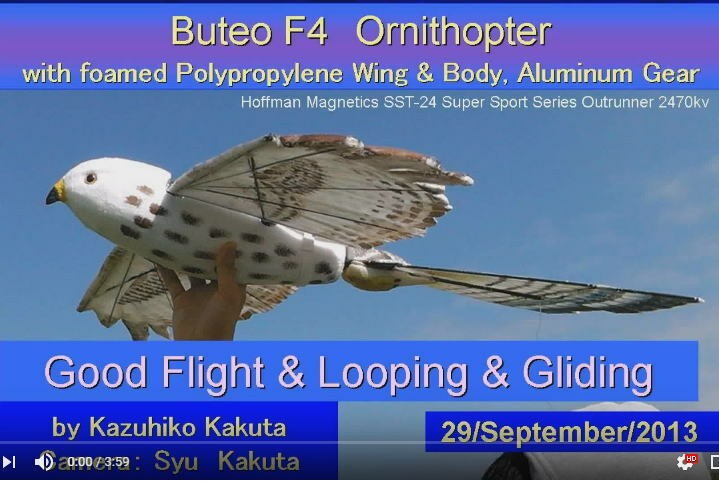 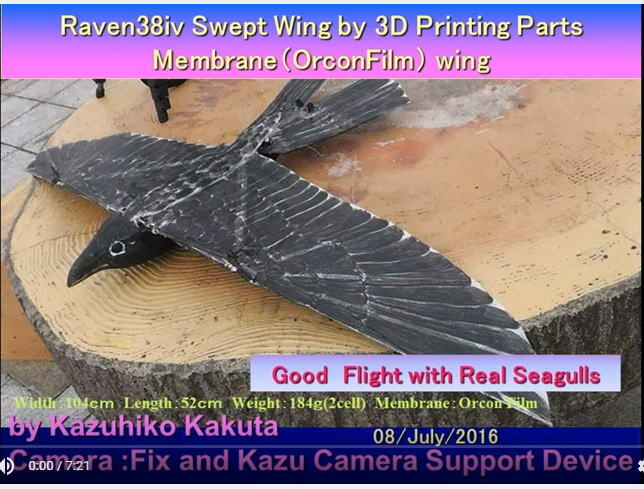 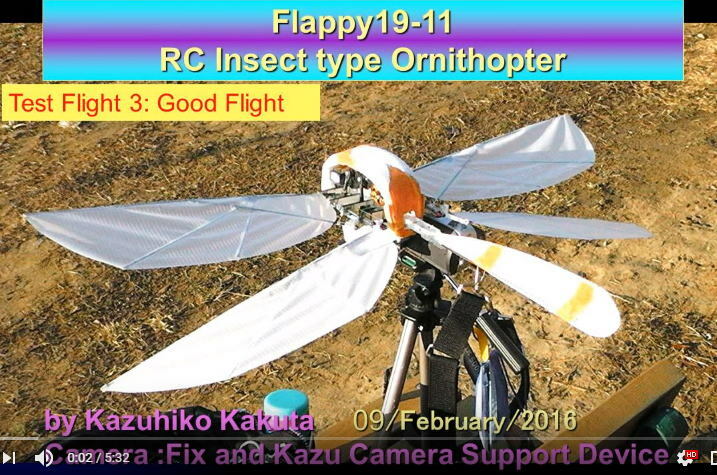 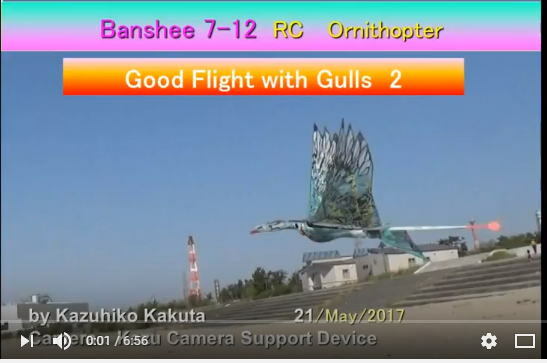 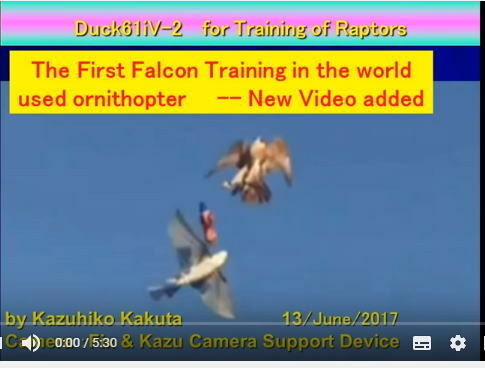 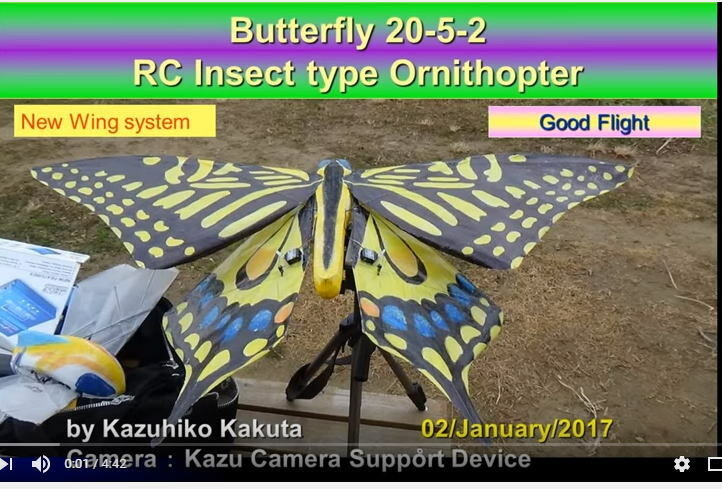 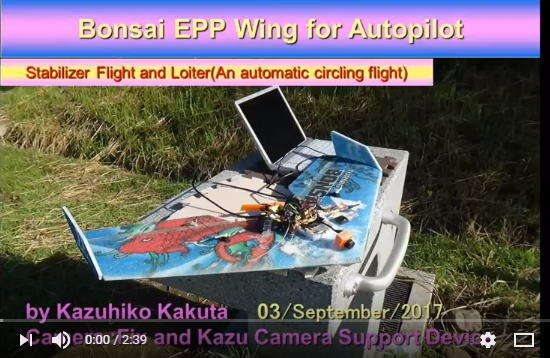 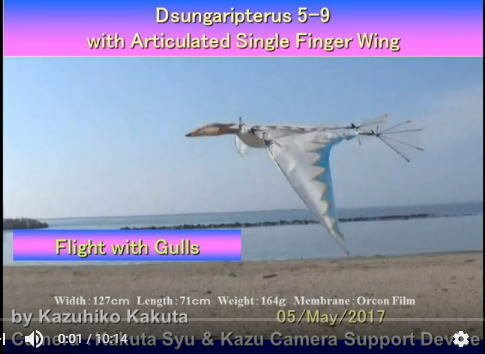 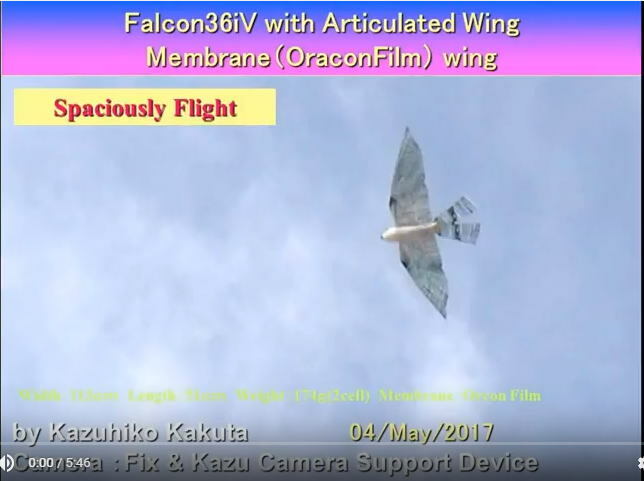 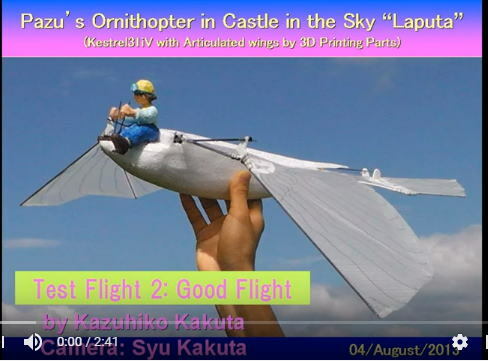 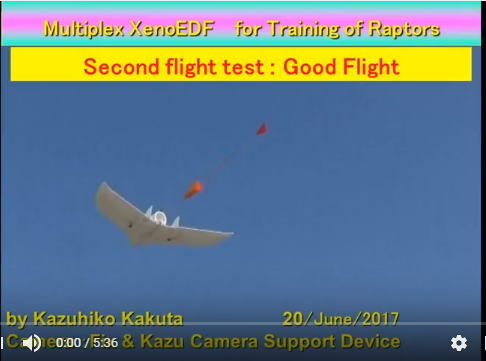 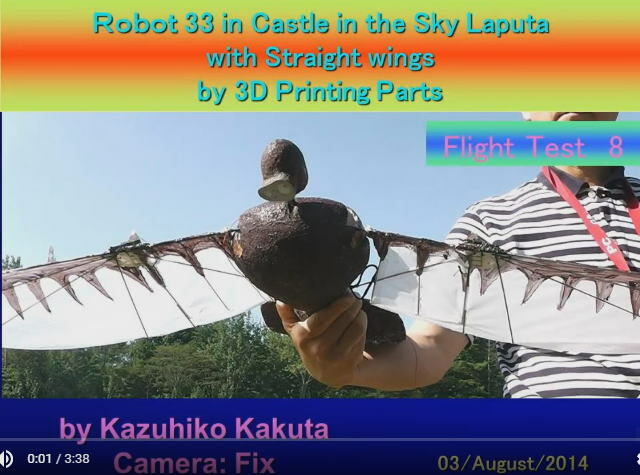 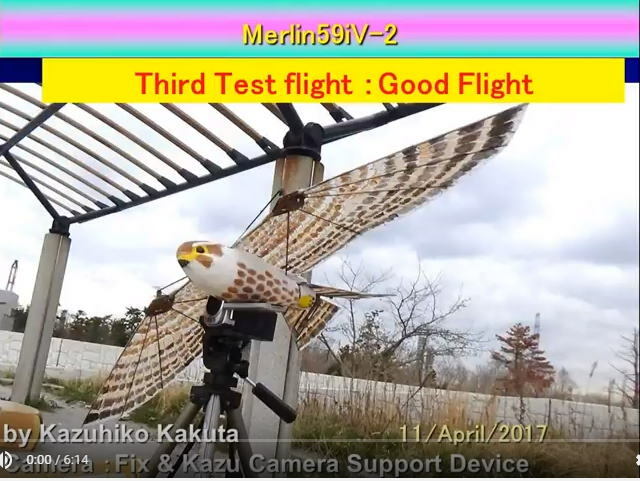 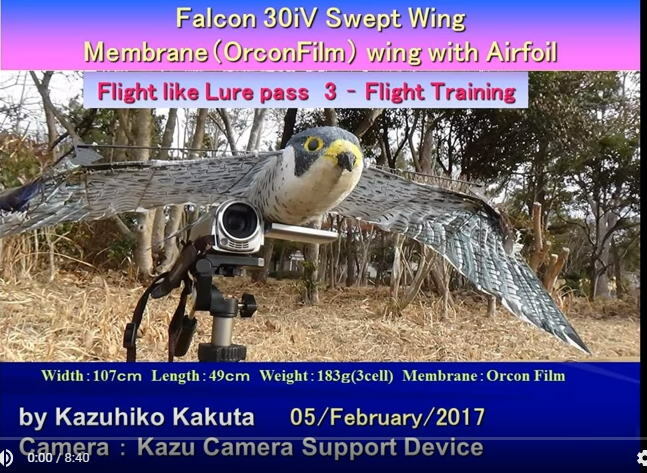 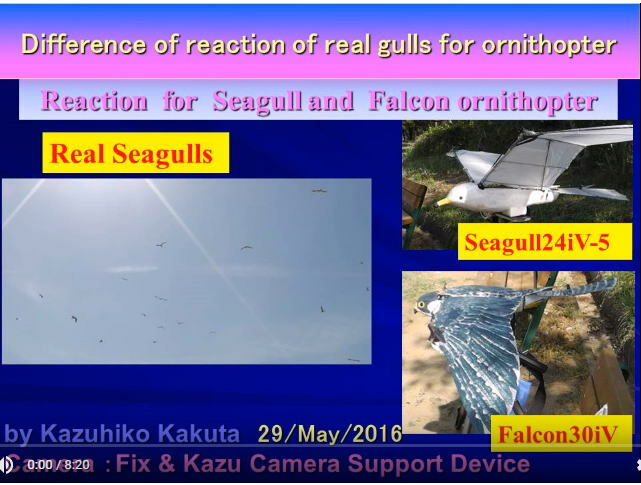 An article about my Pterosauria type ornithopter was carried by the news letter which American The Ornithopter Zone published. 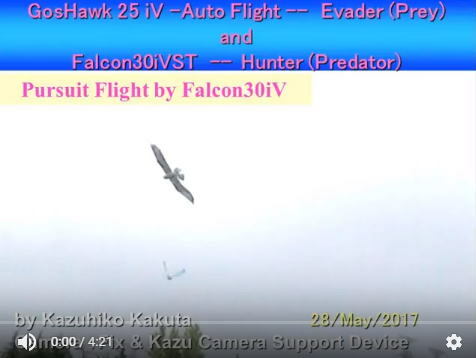 I wrote an article by a request from Nathan Chronister which was the sponsorship. 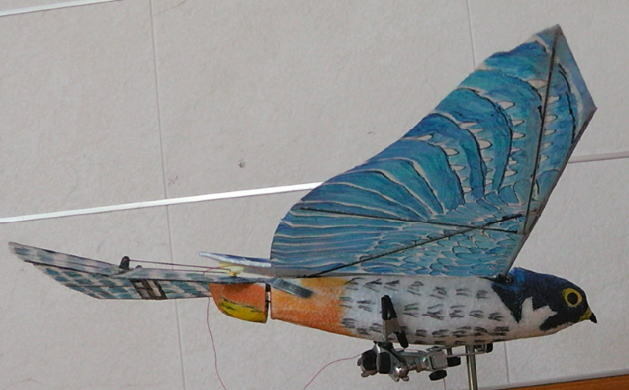 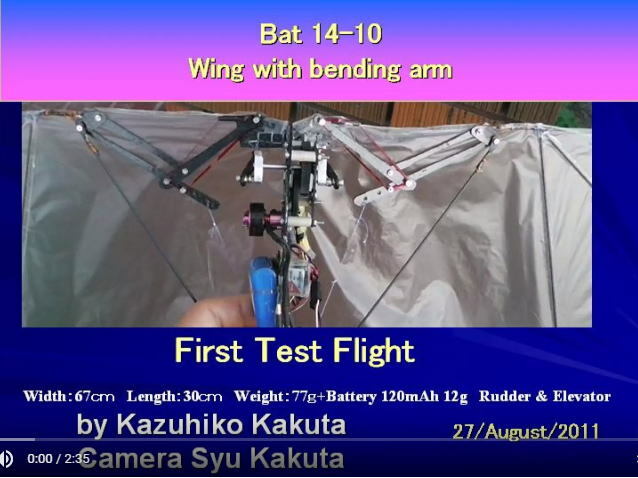 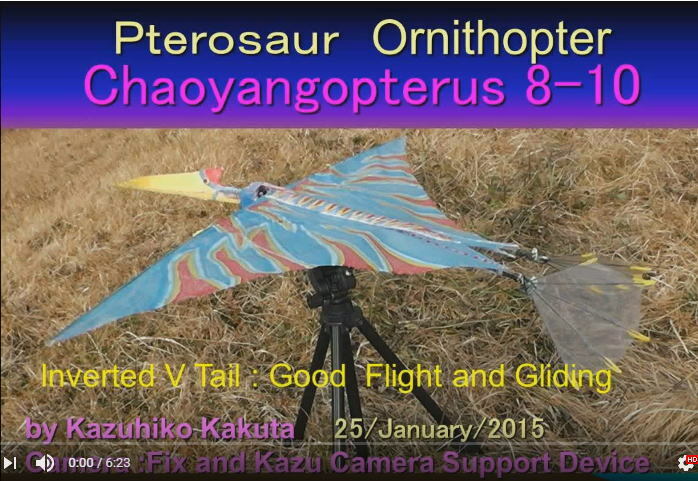 I am making an ornithopter aiming at a flight to be near to more real Pterosaur.